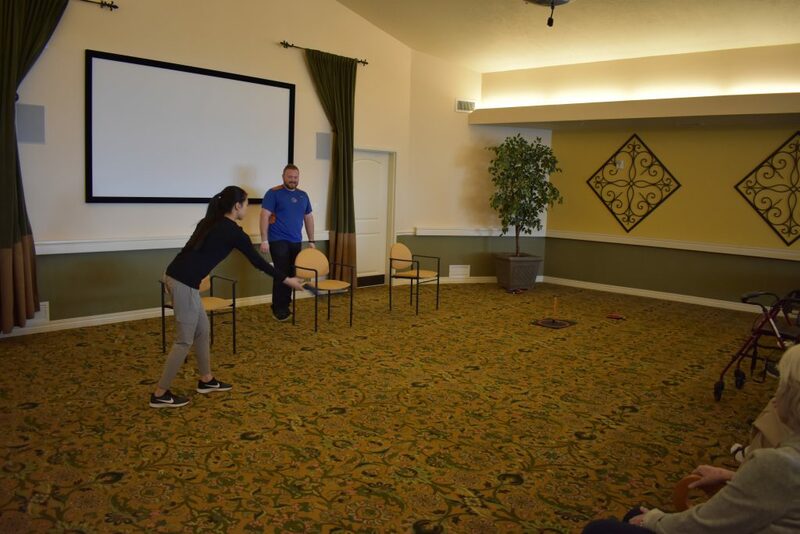 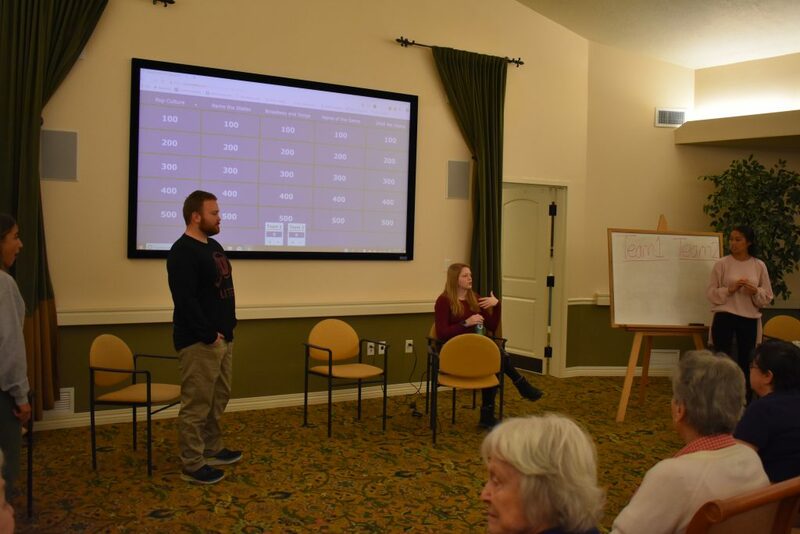 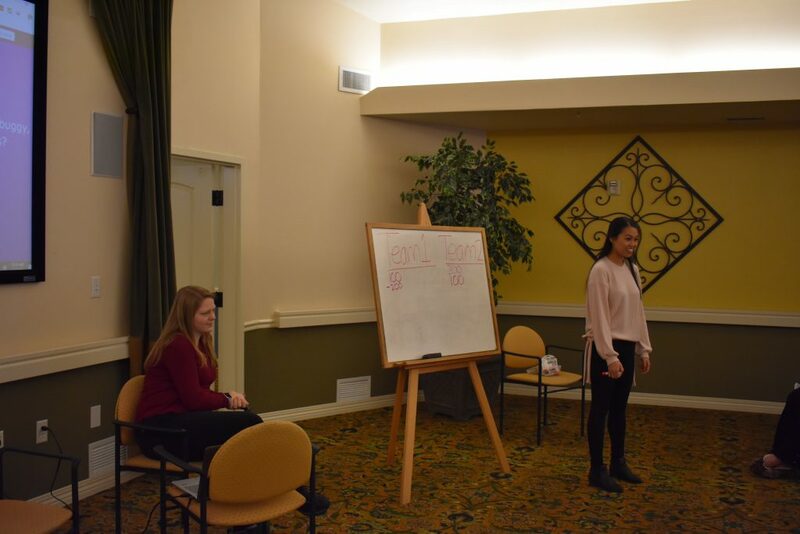 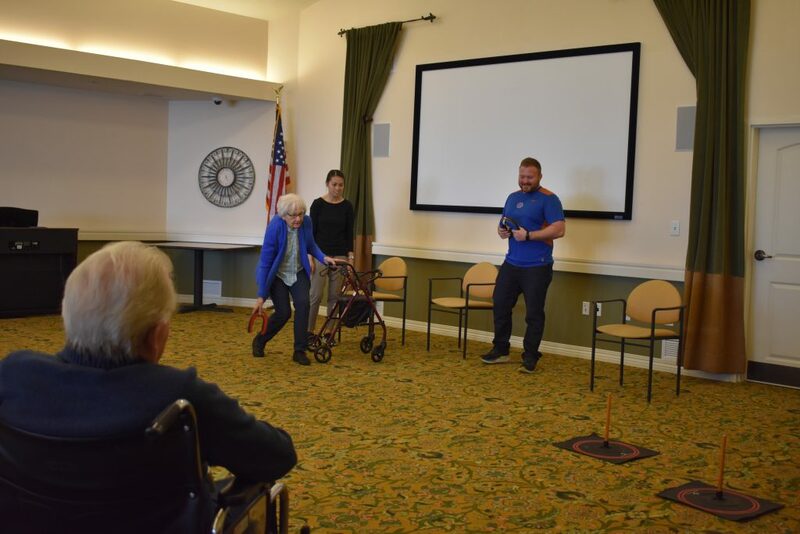 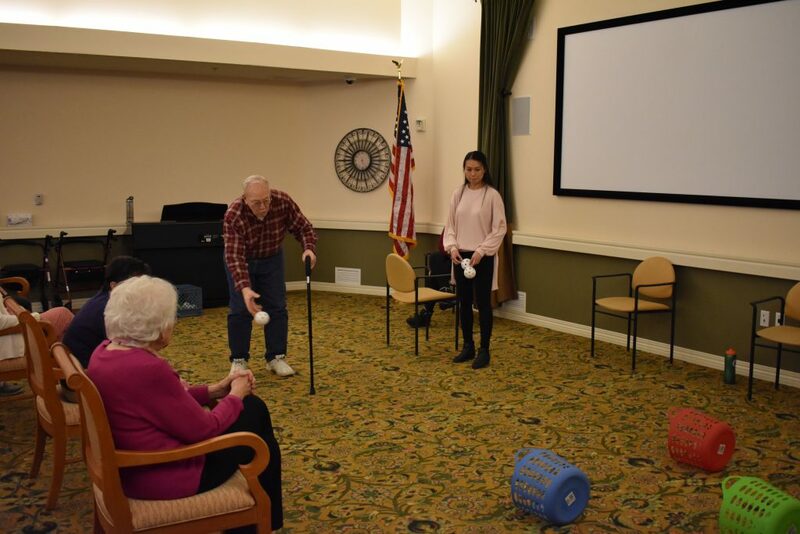 For one semester our residents get to have fun with these four students from the University of Utah! 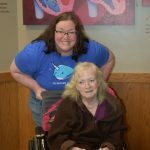 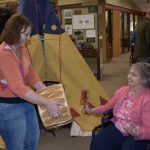 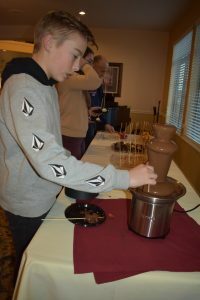 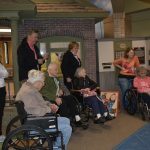 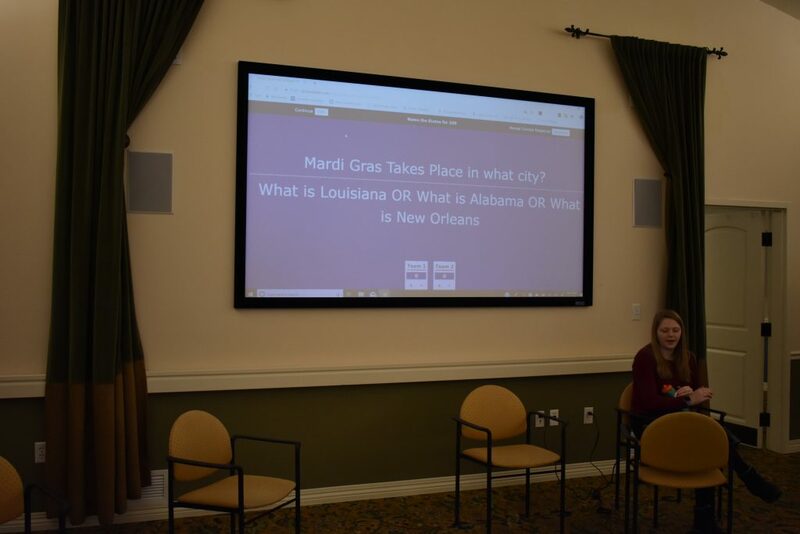 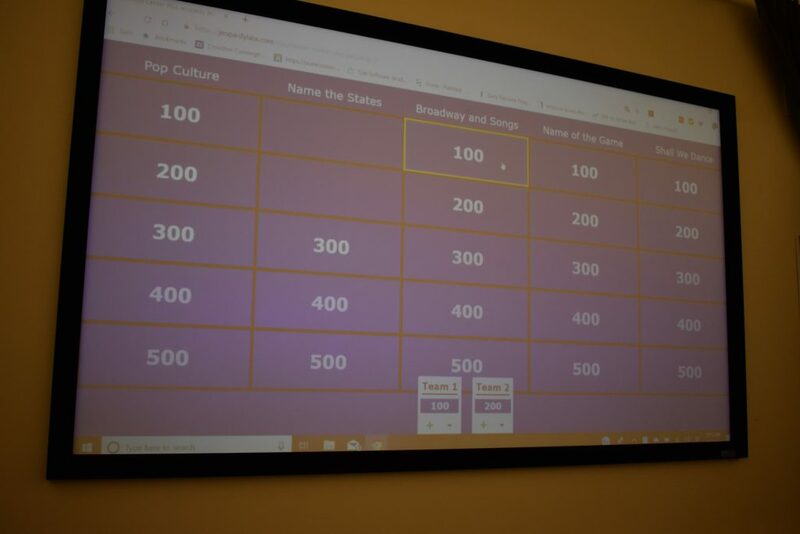 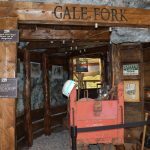 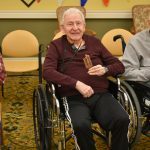 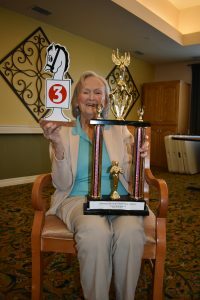 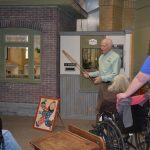 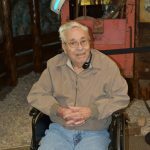 They’ve played some really fun games, here are some pictures from playing horse shoes, Jeopardy, skee ball and a scavenger hunt where the winners got chocolate! 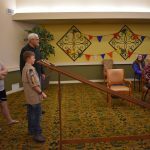 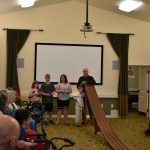 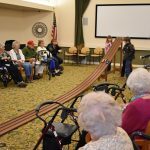 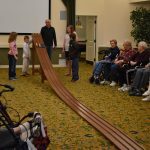 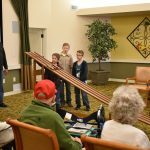 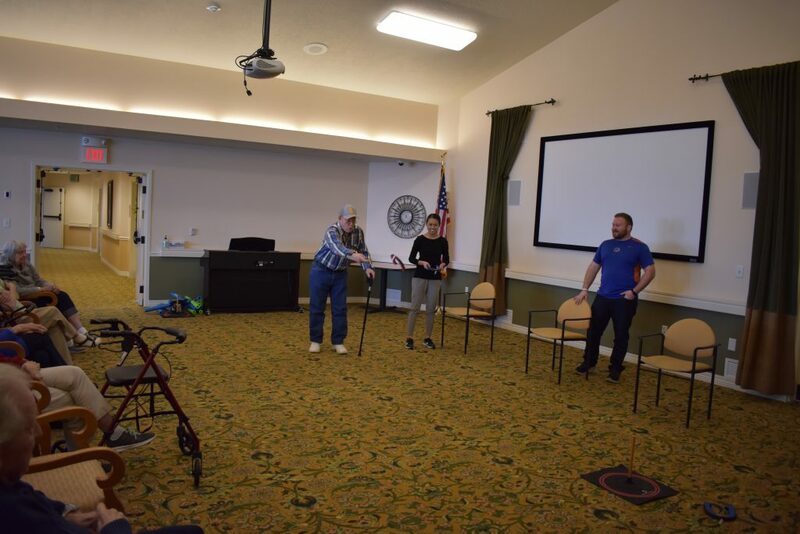 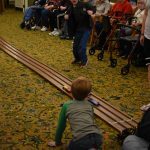 Carrington Court was lucky enough to host a pinewood derby for these boy scouts! 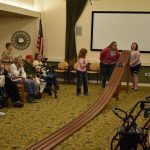 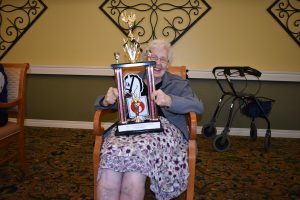 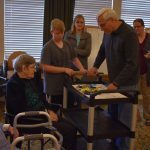 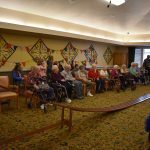 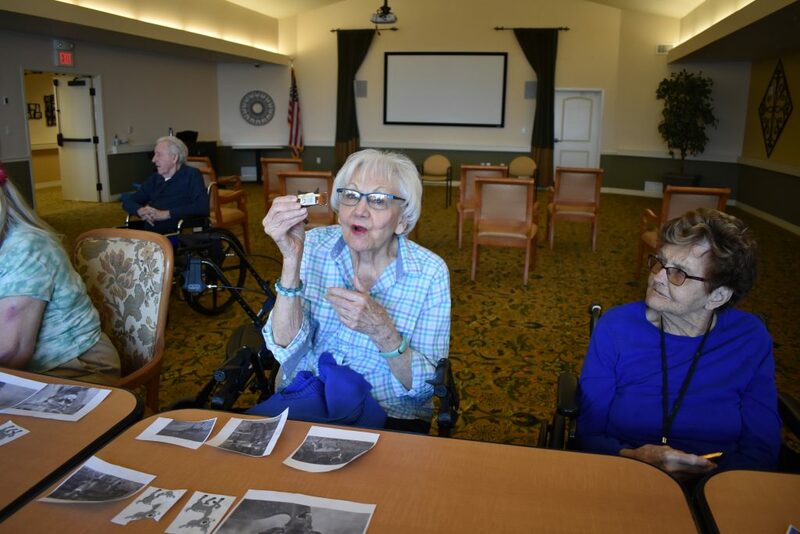 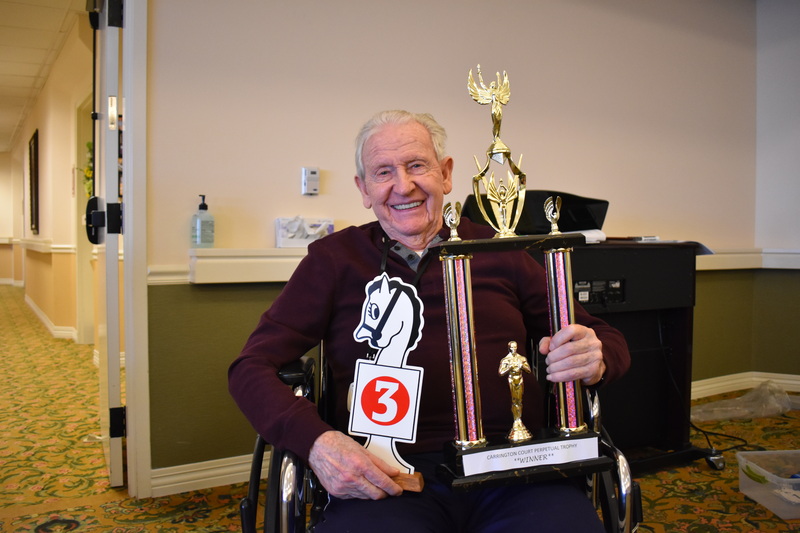 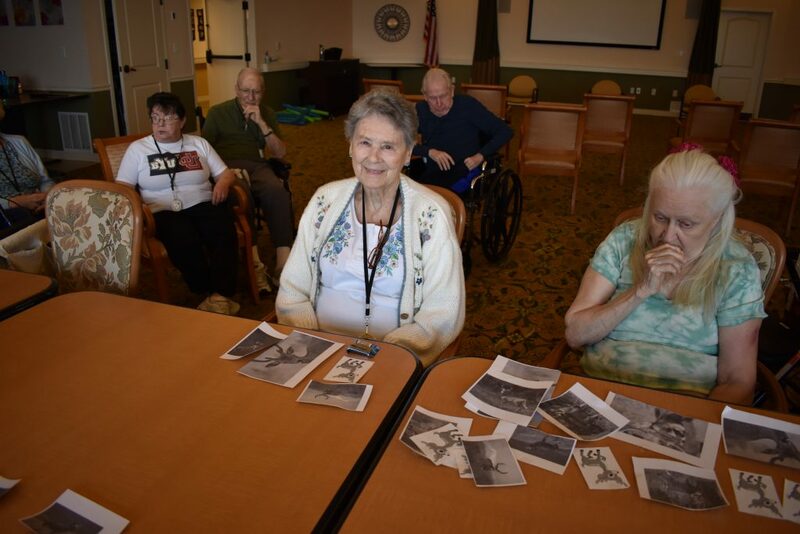 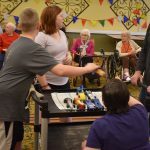 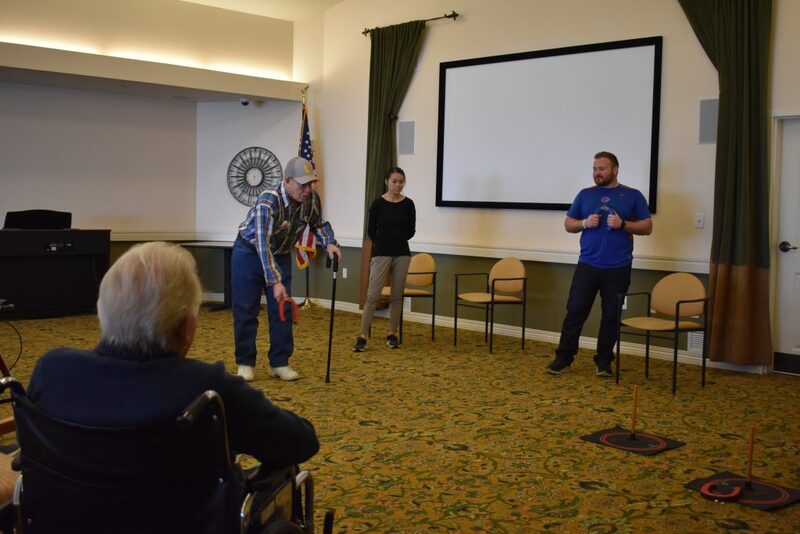 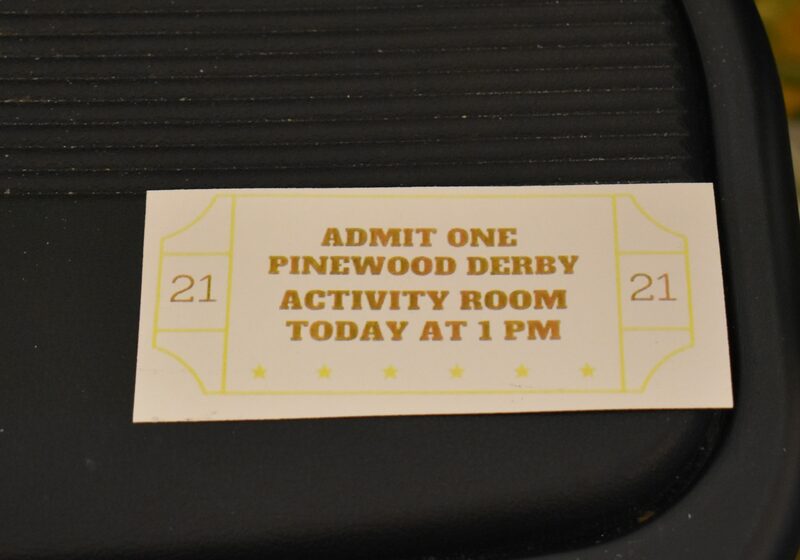 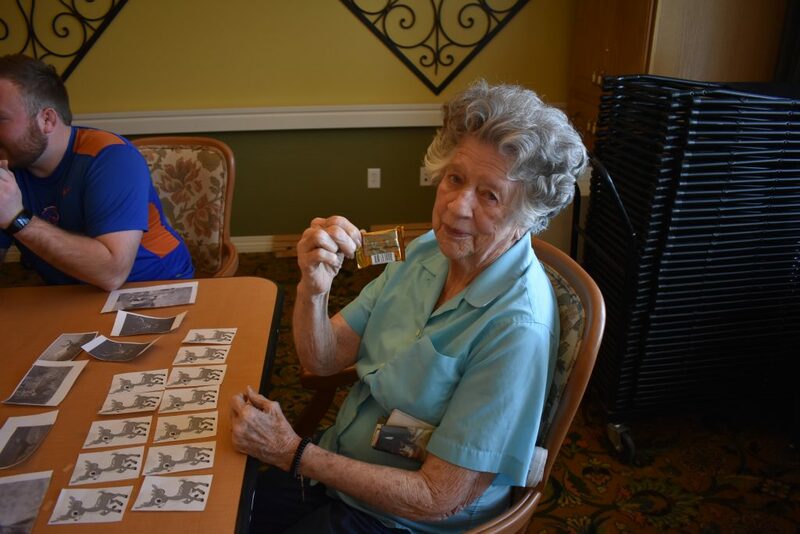 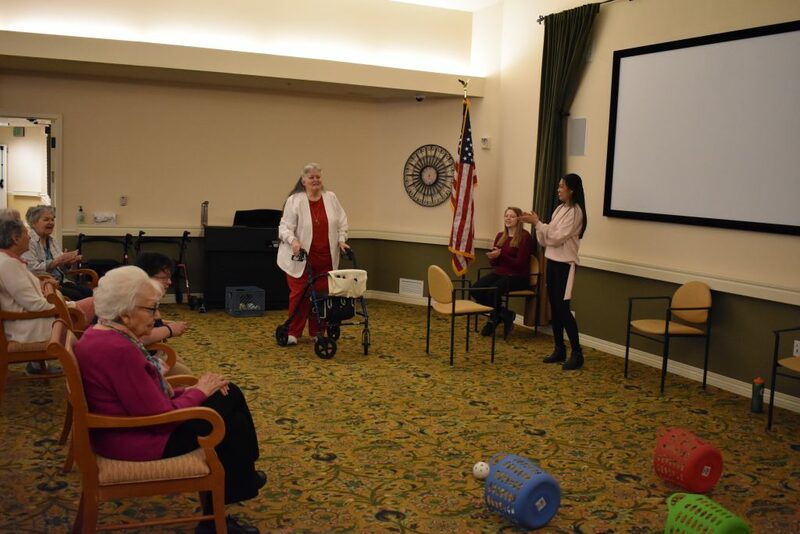 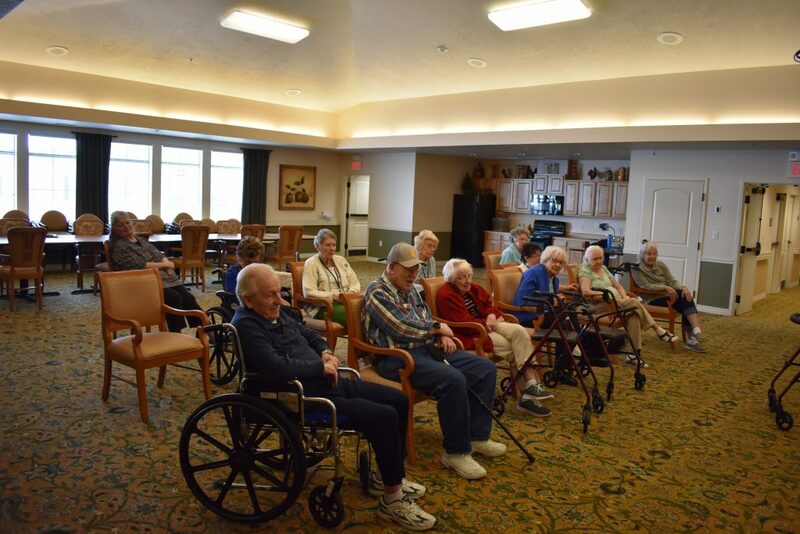 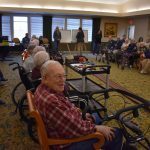 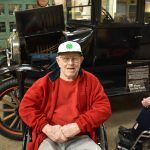 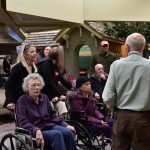 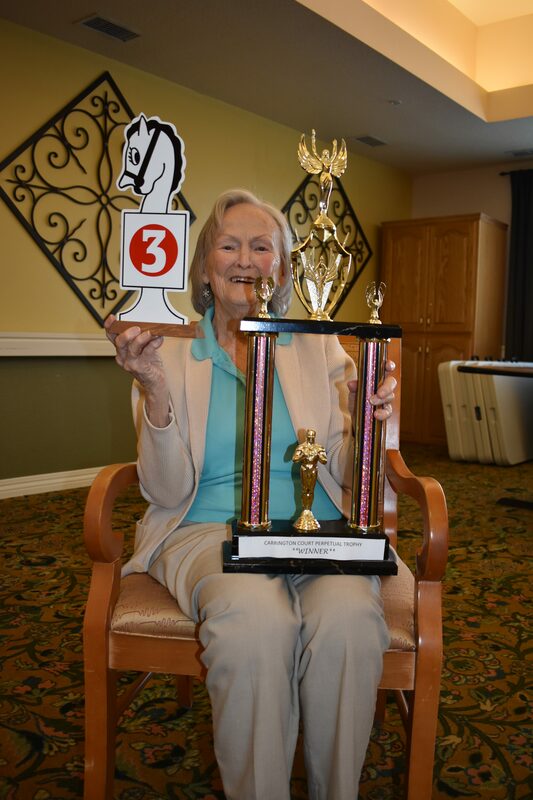 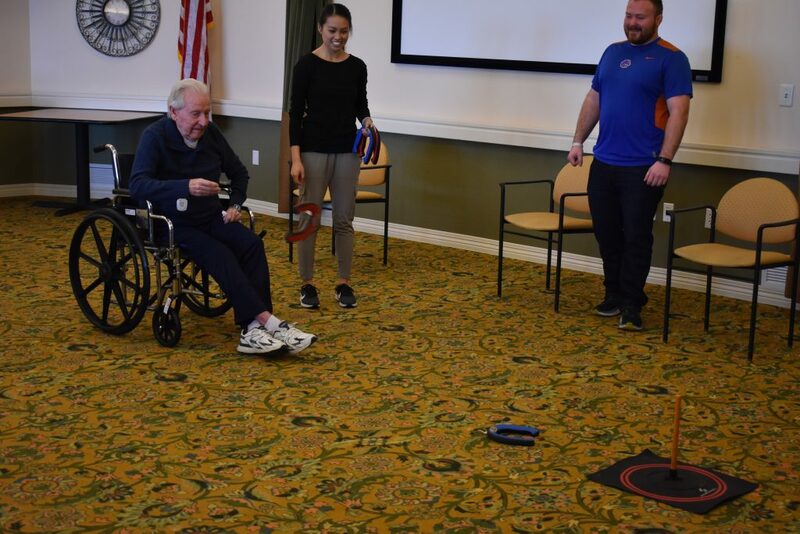 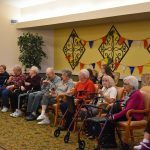 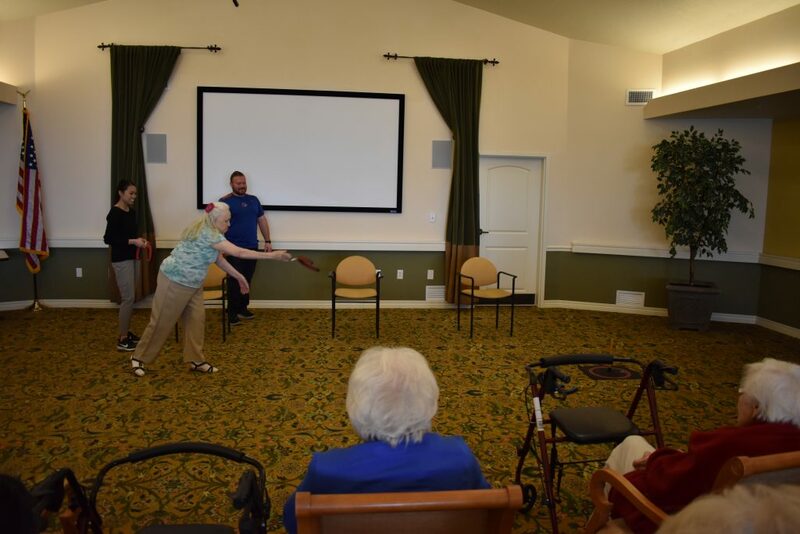 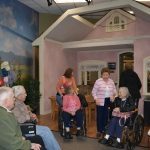 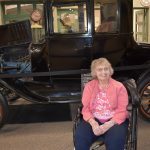 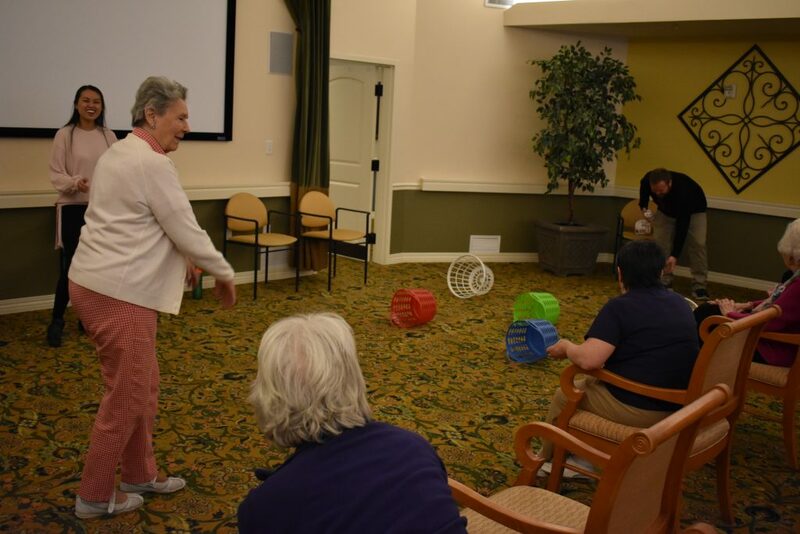 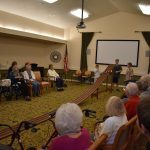 Everyone came out for the derby, each resident took turns picking a car to race. 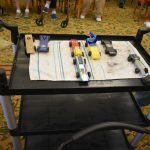 All the cars looked great and it was so fun to watch. 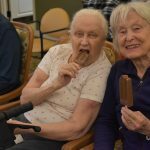 Then at the end we all enjoyed a tasty ice cream treat! 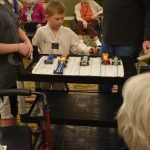 Look at those great cars! 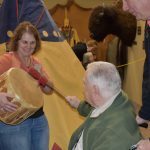 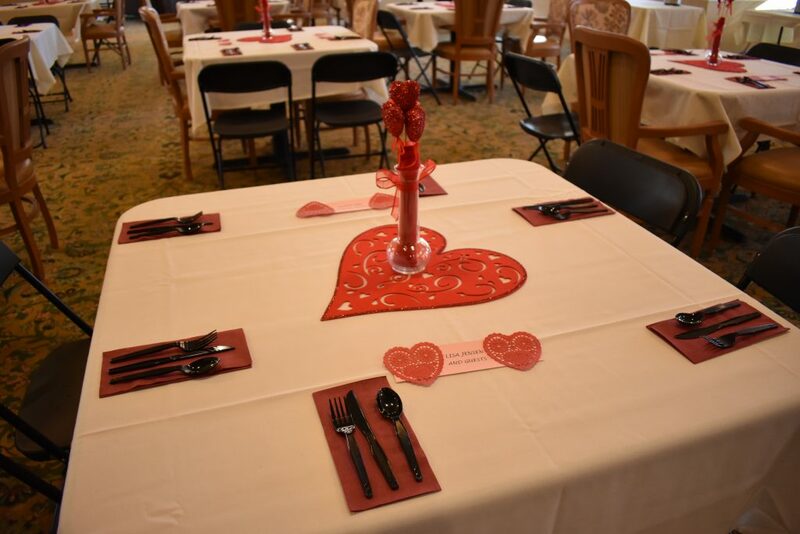 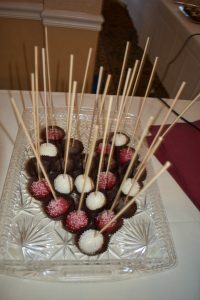 Every year the Valentine’s Day party is a fan favorite! 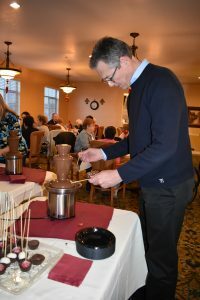 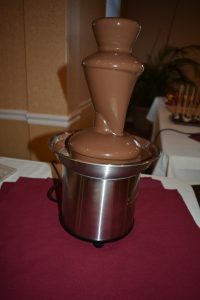 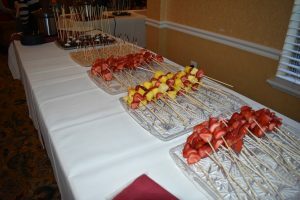 From the delicious food, and everyone’s favorite chocolate fountain to spending the evening with family, it is always a lot of fun! 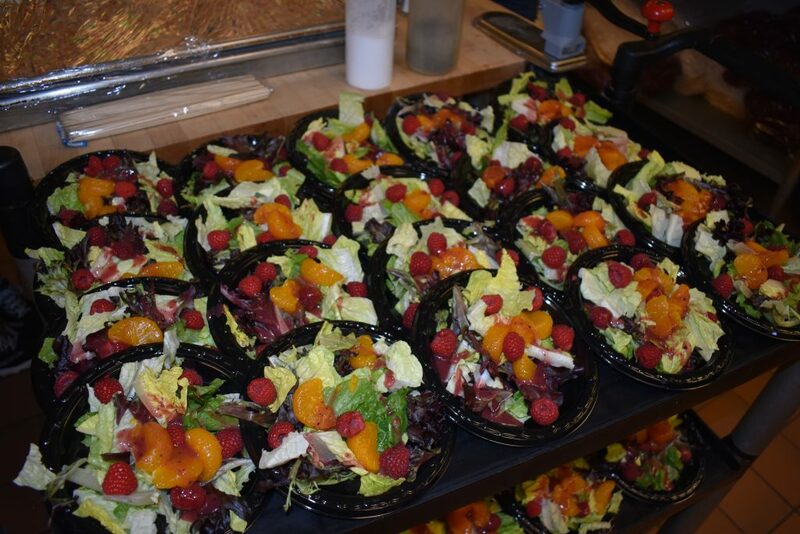 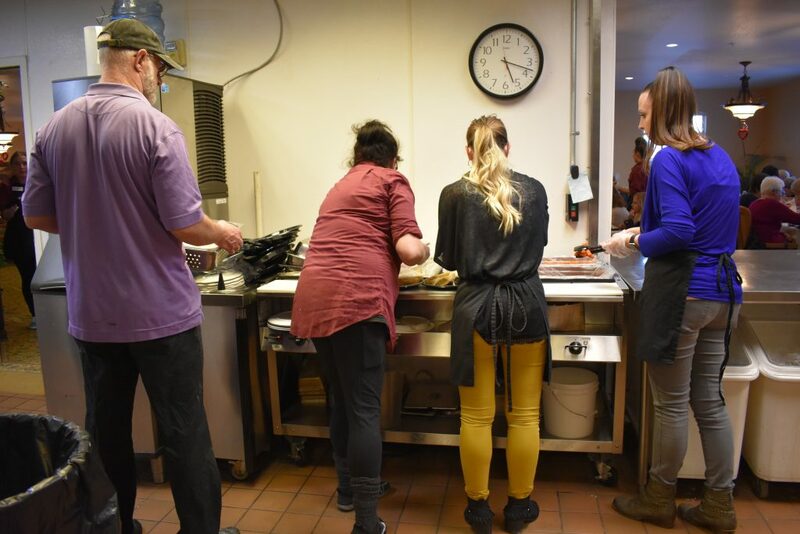 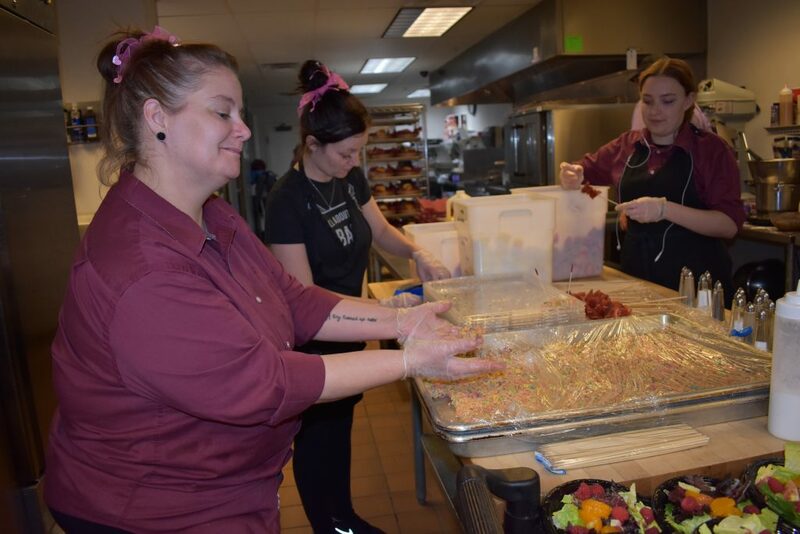 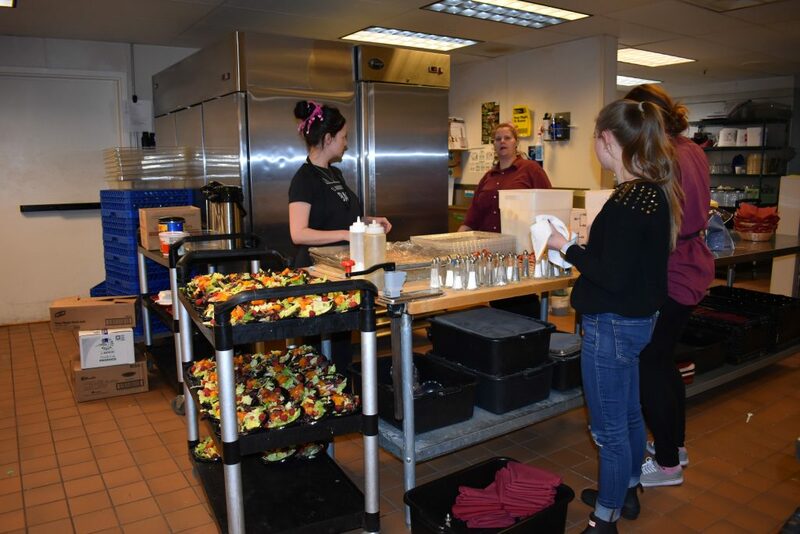 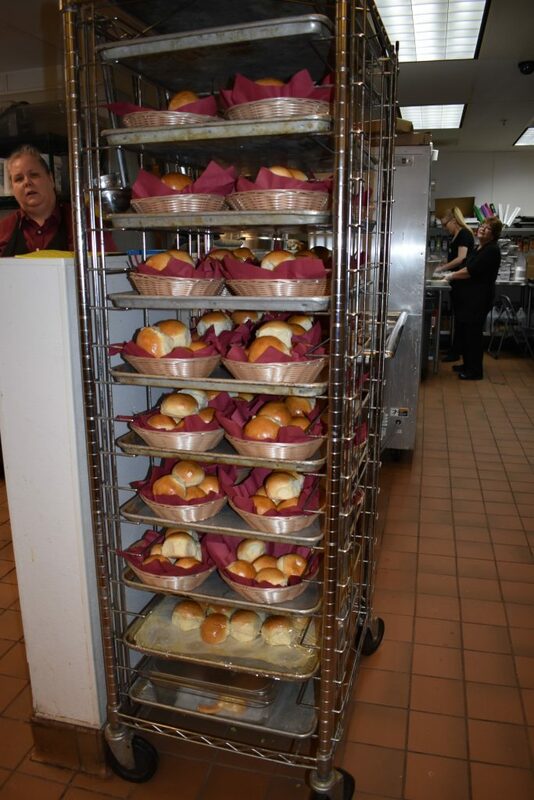 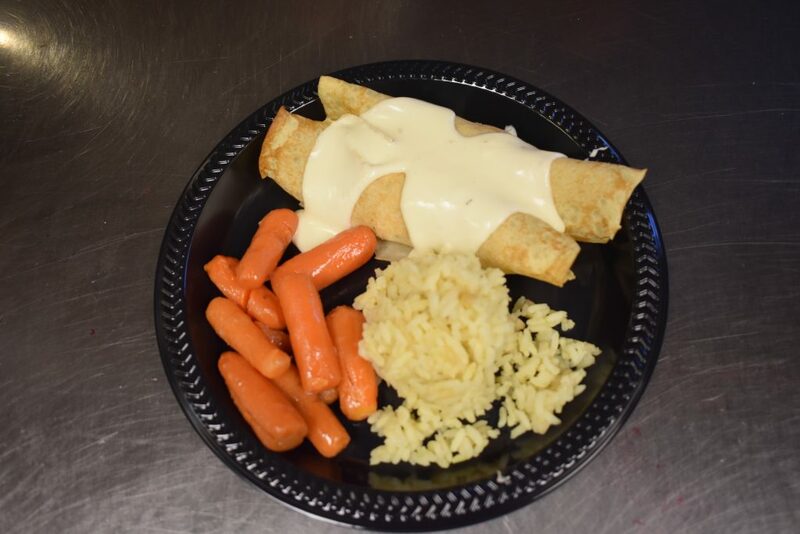 We are so grateful to our amazing kitchen staff for making such a wonderful meal and of course all of our other staff and management for making the night so fun. 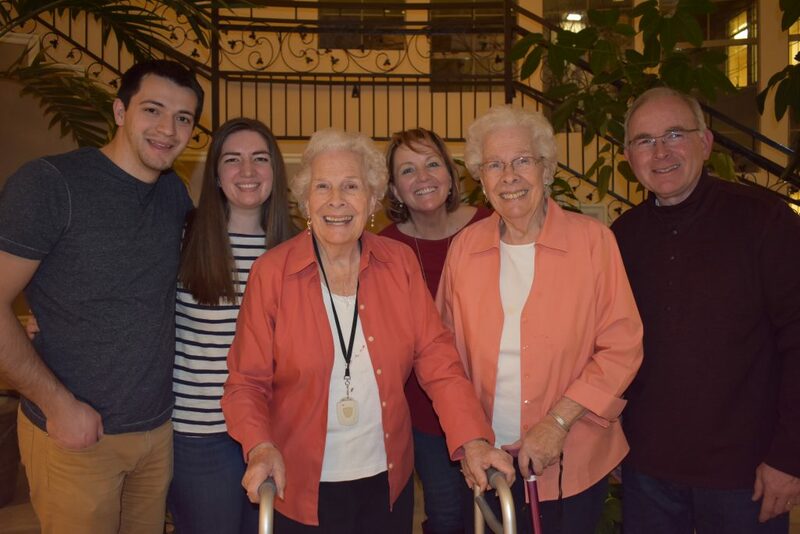 But most of all we are grateful for the family and friends that we love so much, they made the night perfect! 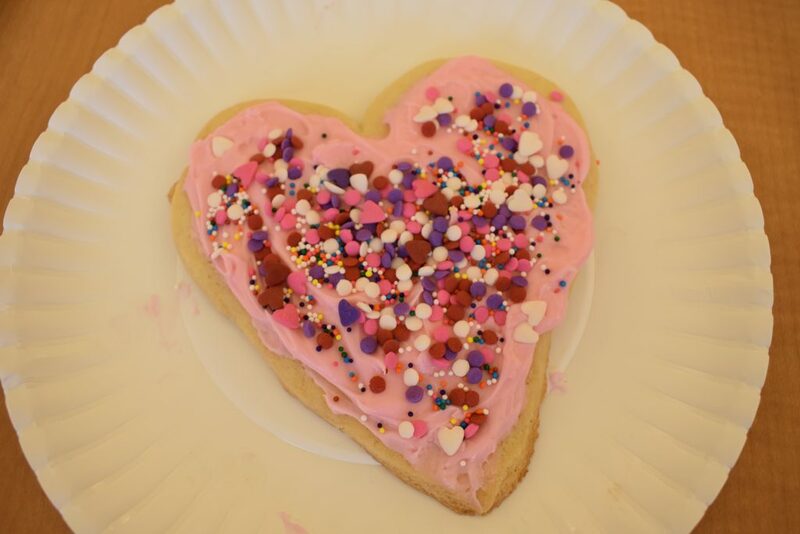 We were so excited the other day because Rhea’s daughter came with cookies and frosting! 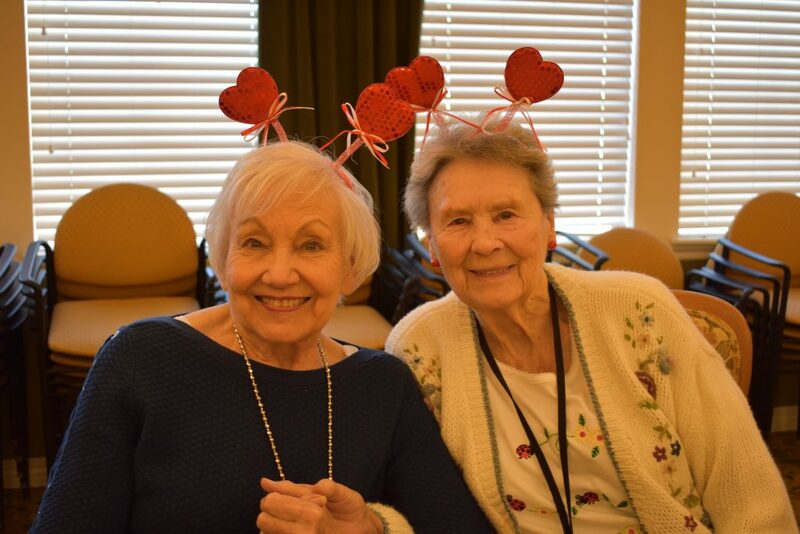 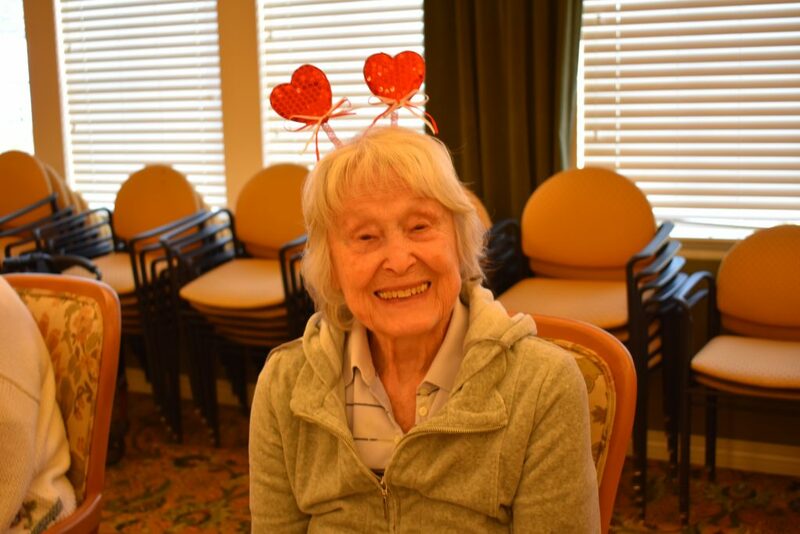 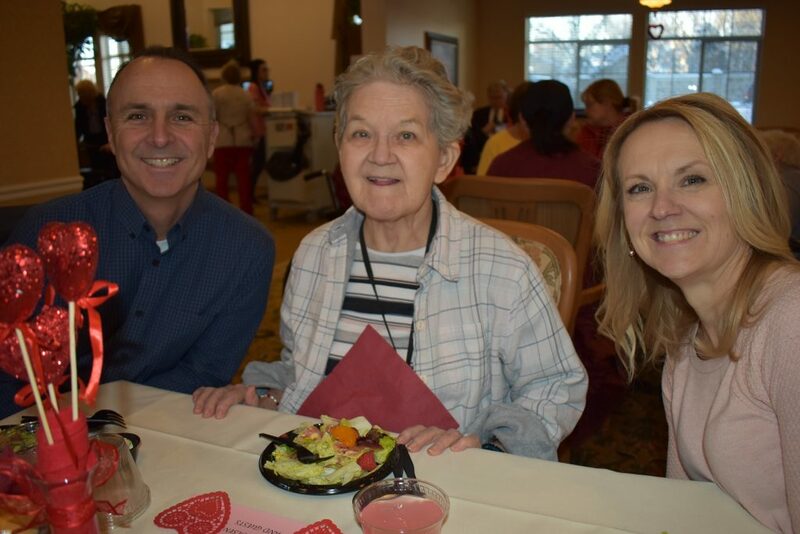 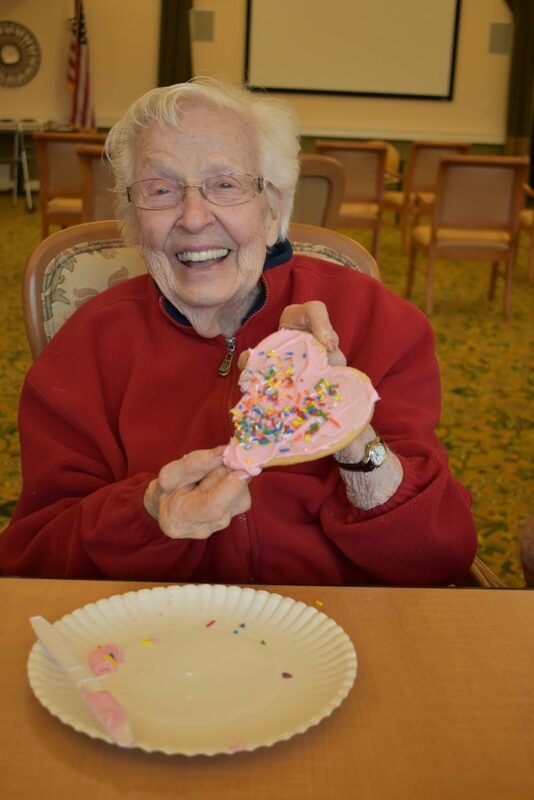 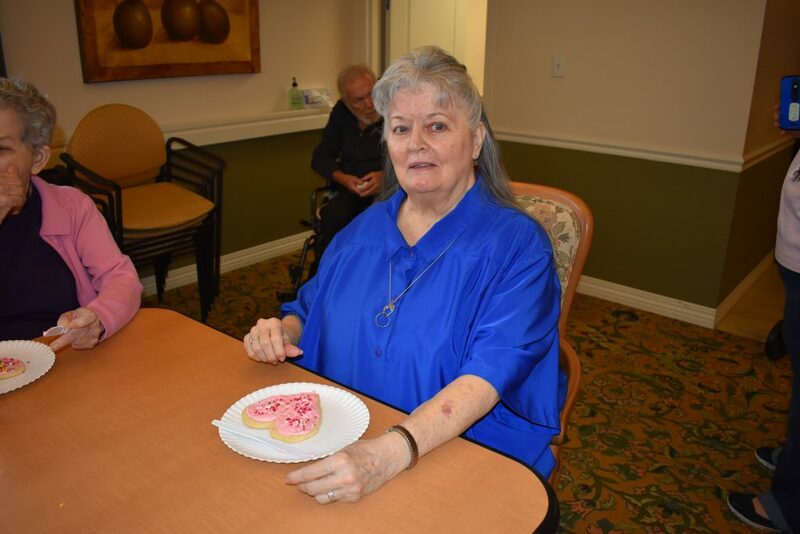 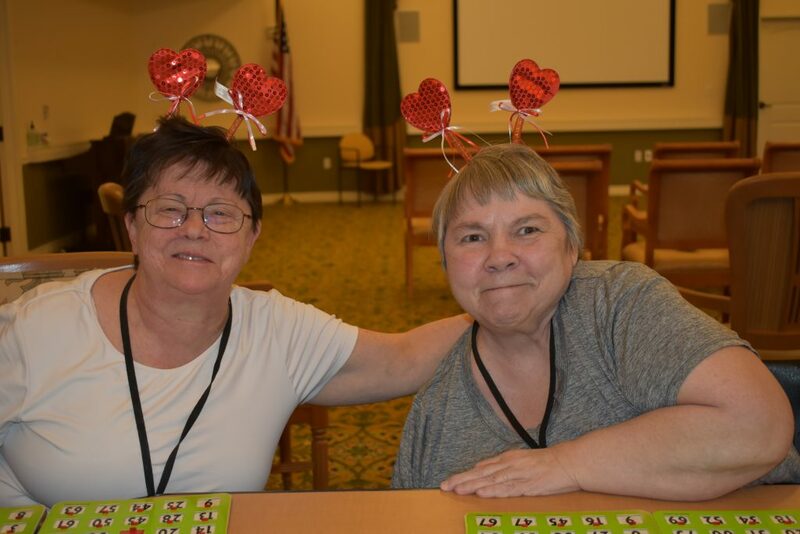 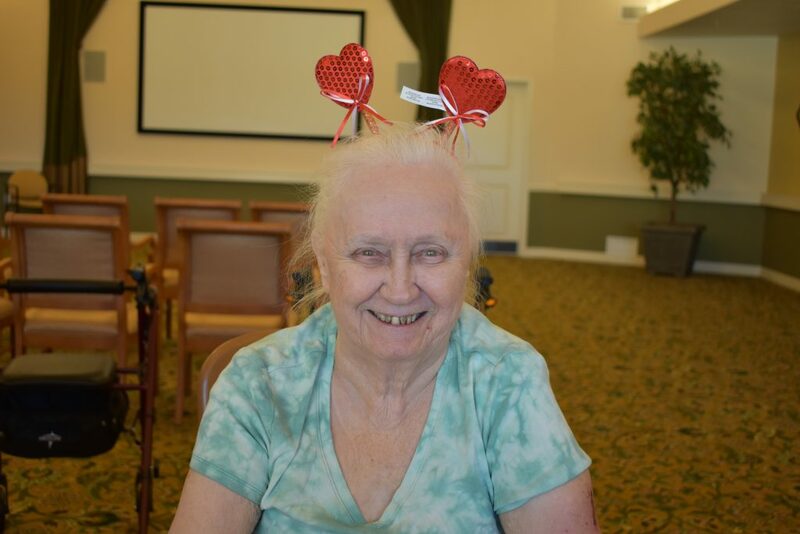 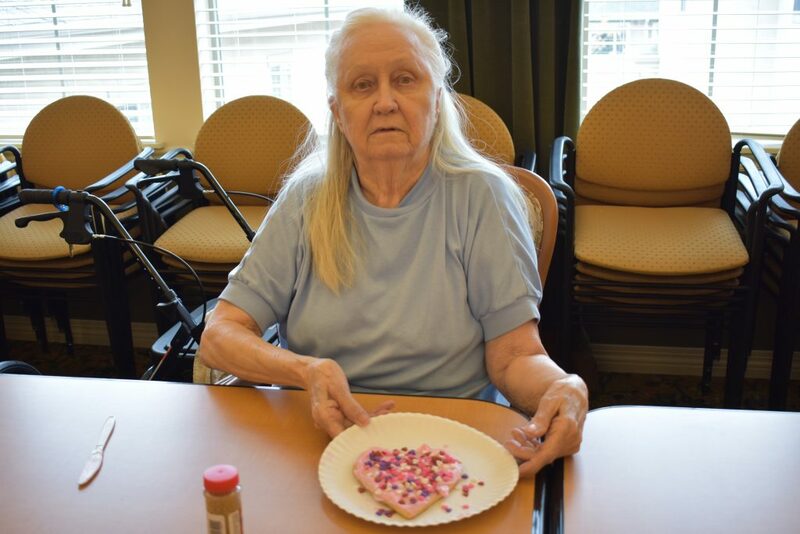 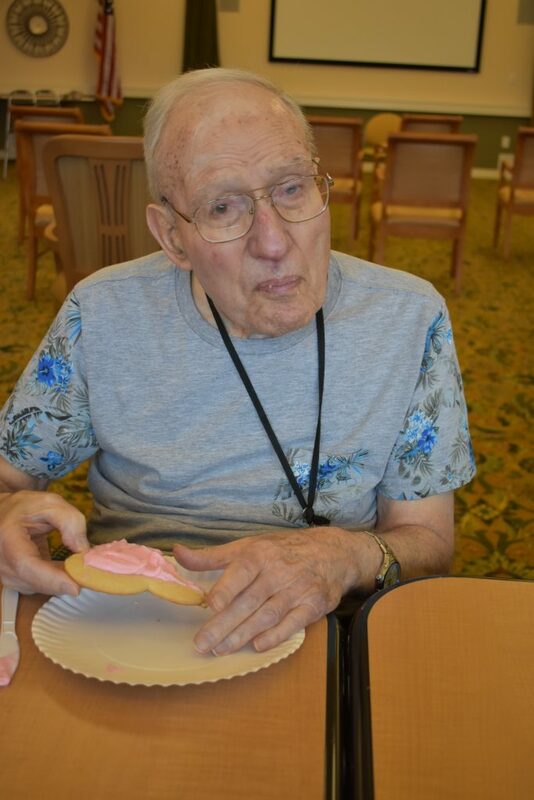 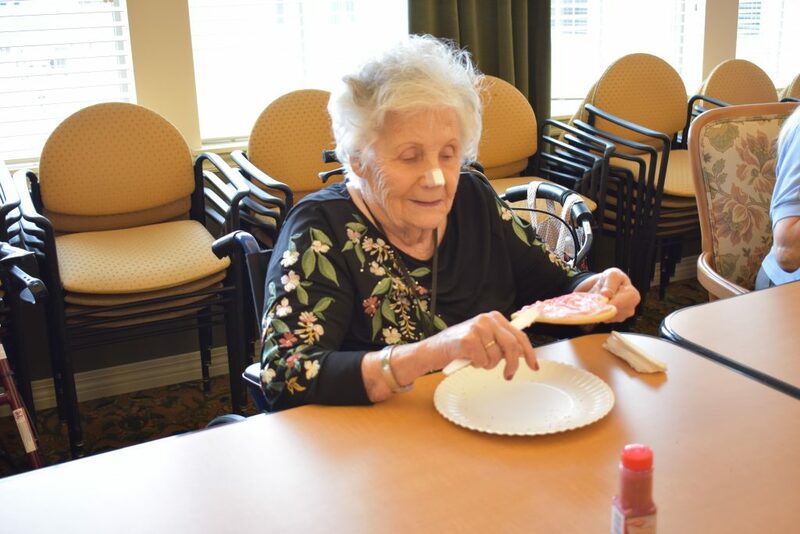 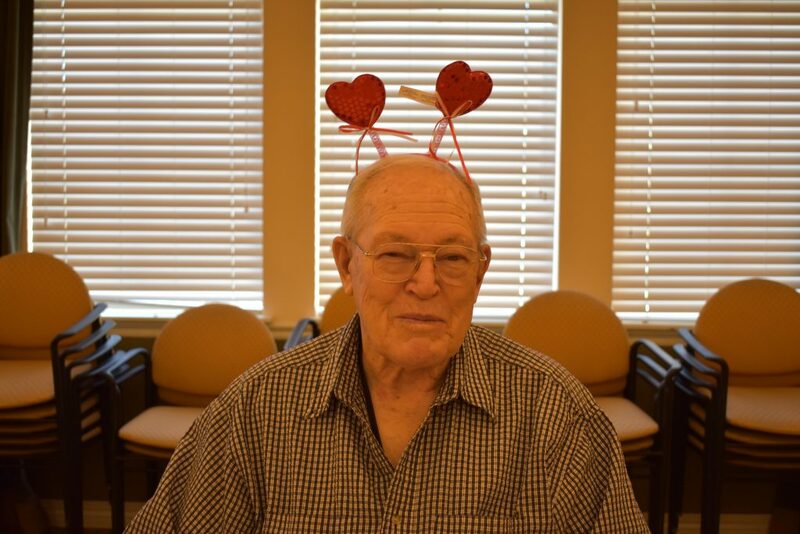 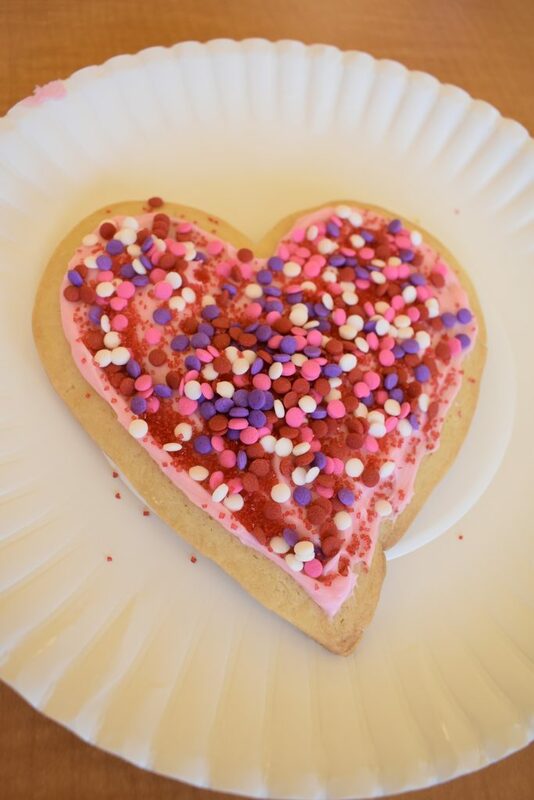 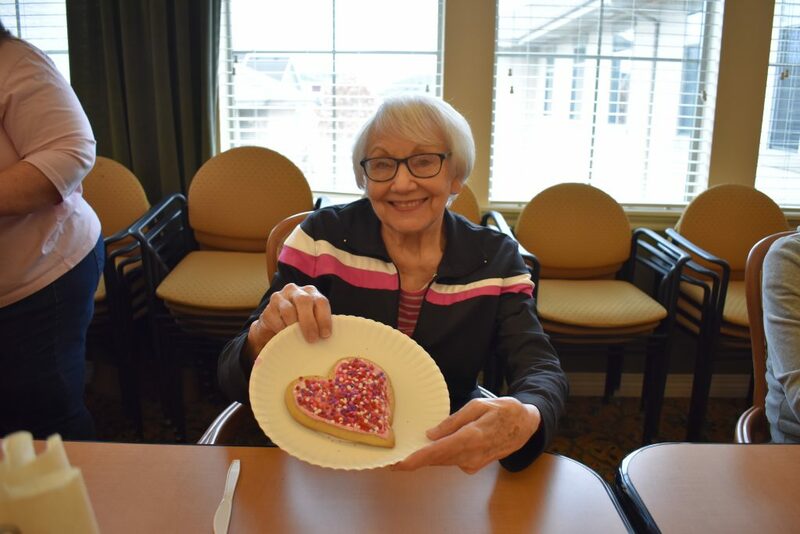 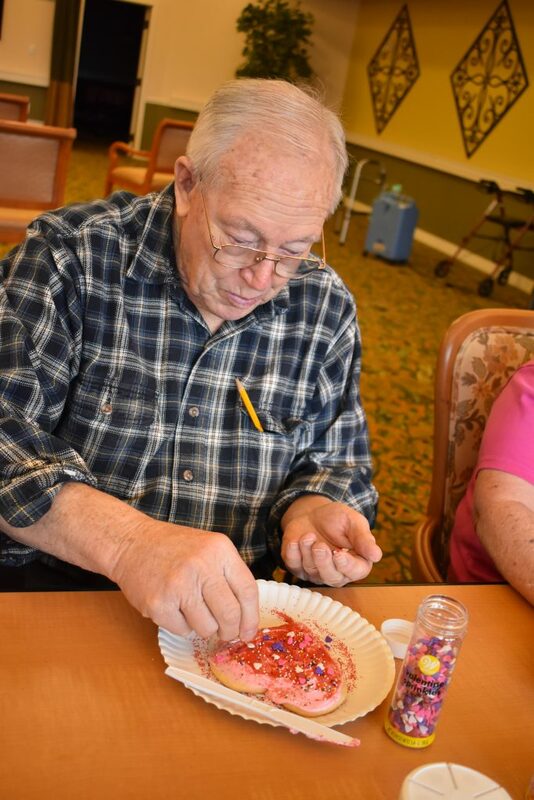 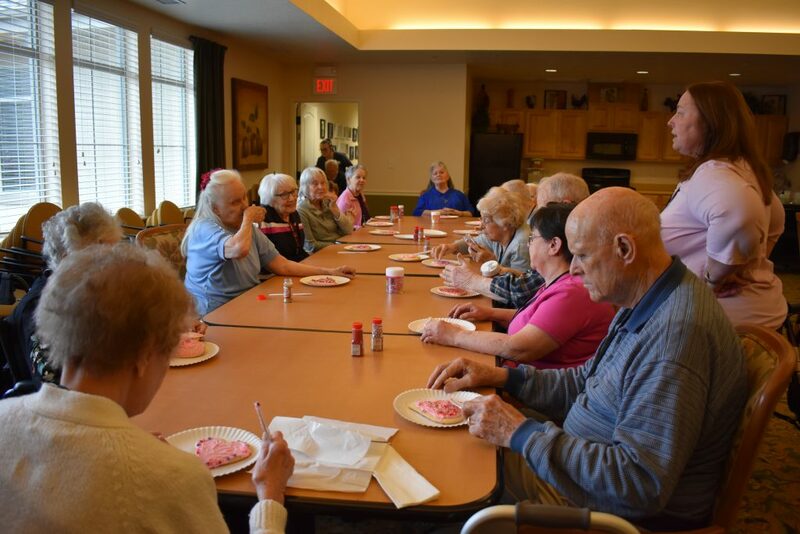 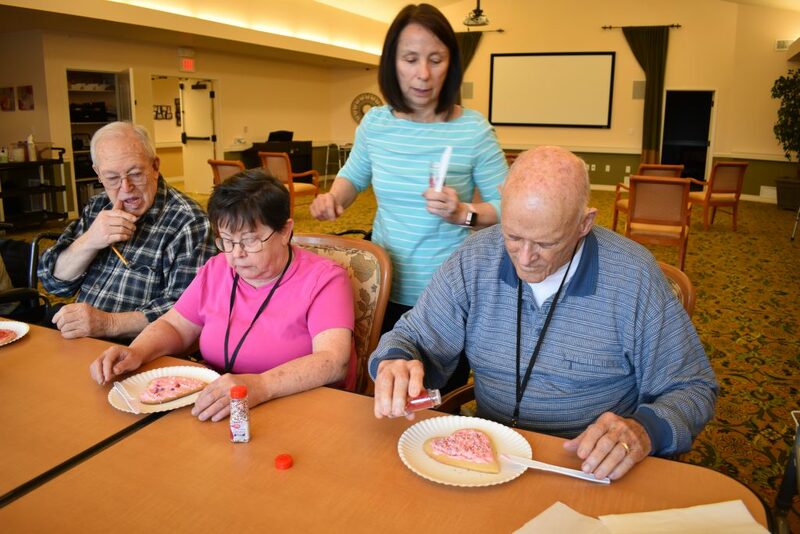 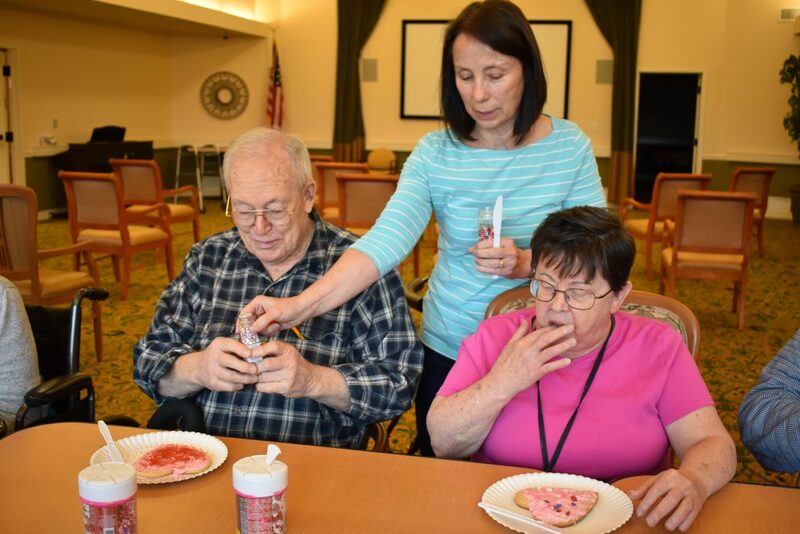 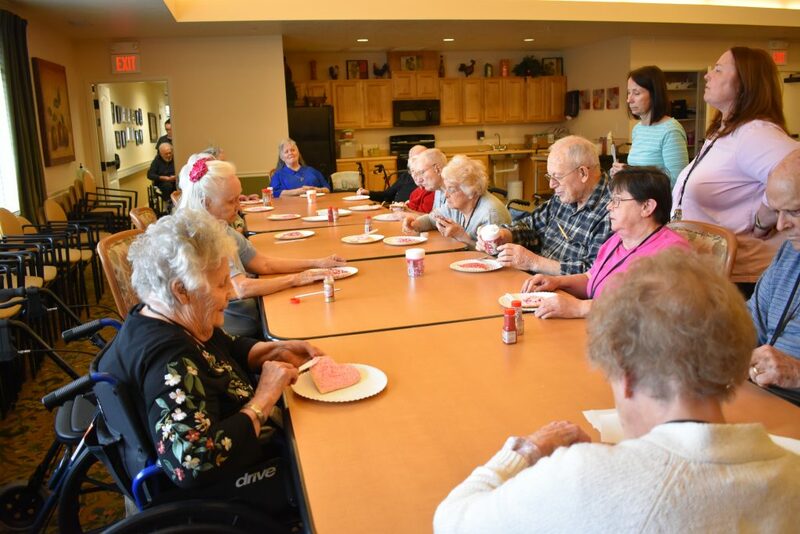 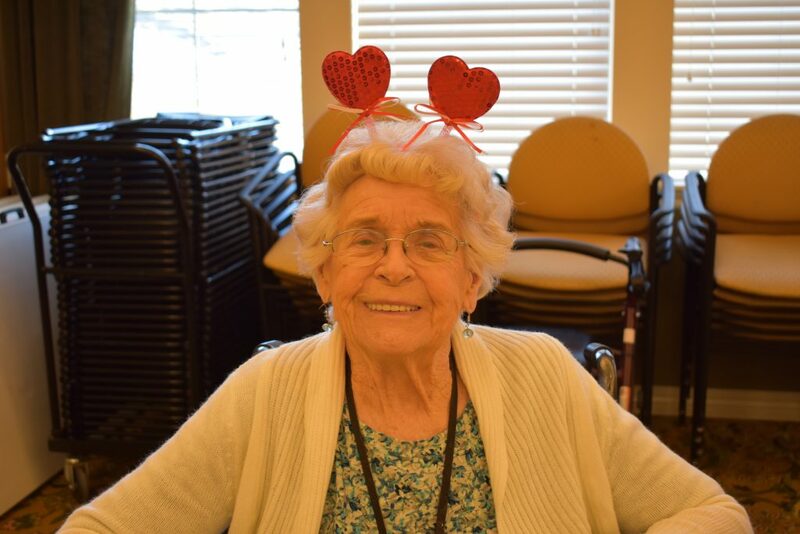 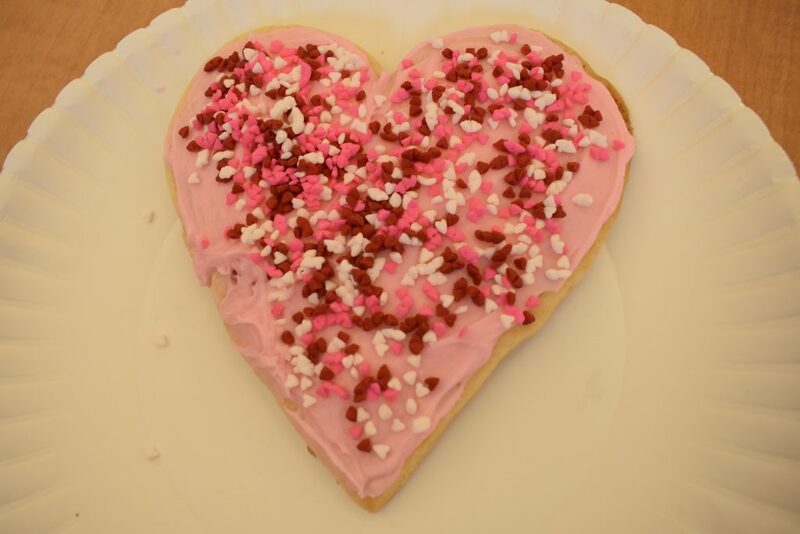 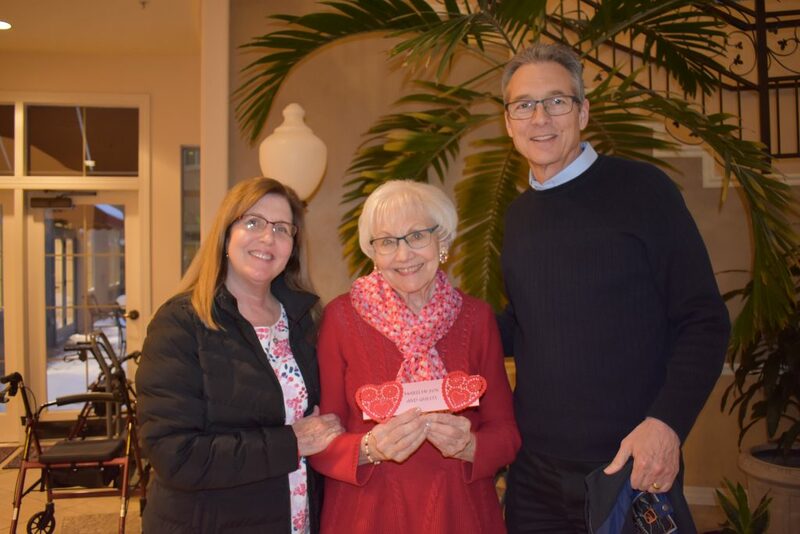 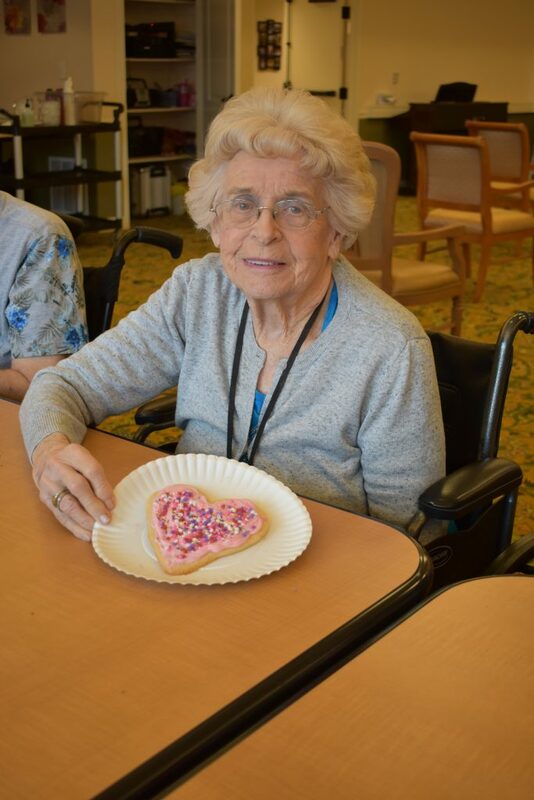 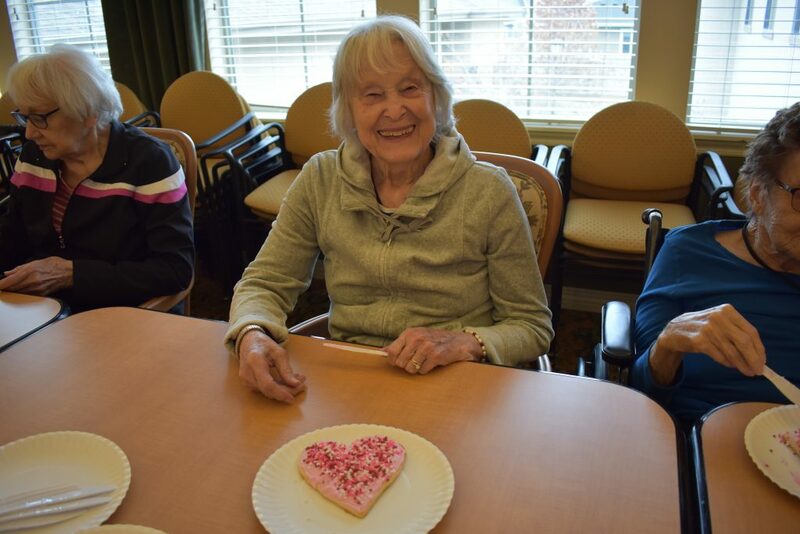 And all of the residents got to decorate their own Valentine’s Day cookie! 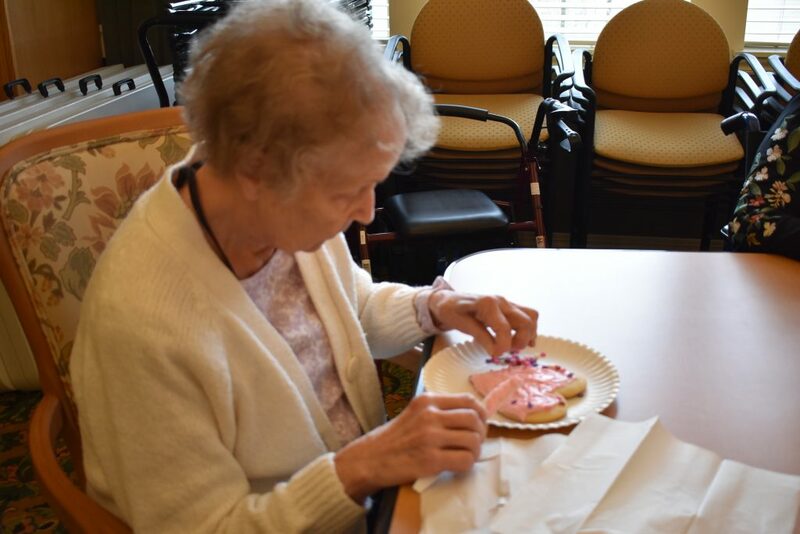 Cookies are a favorite treat, but it’s even better getting to eat your own creation. 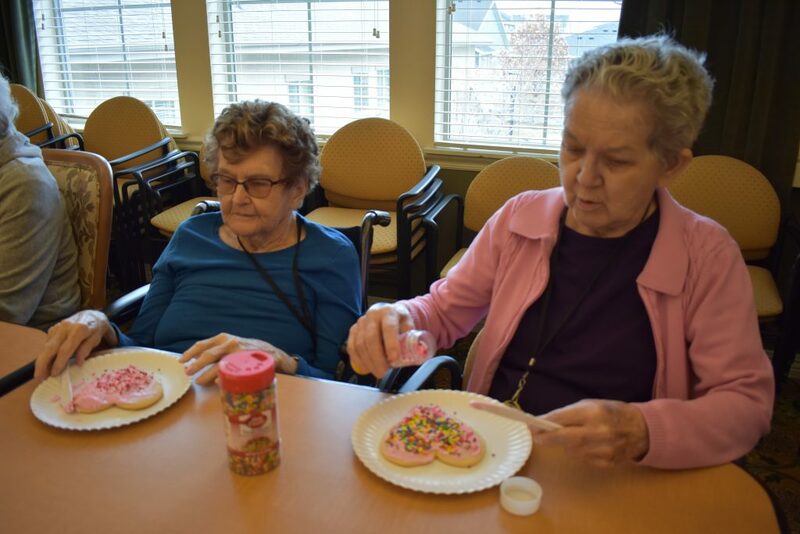 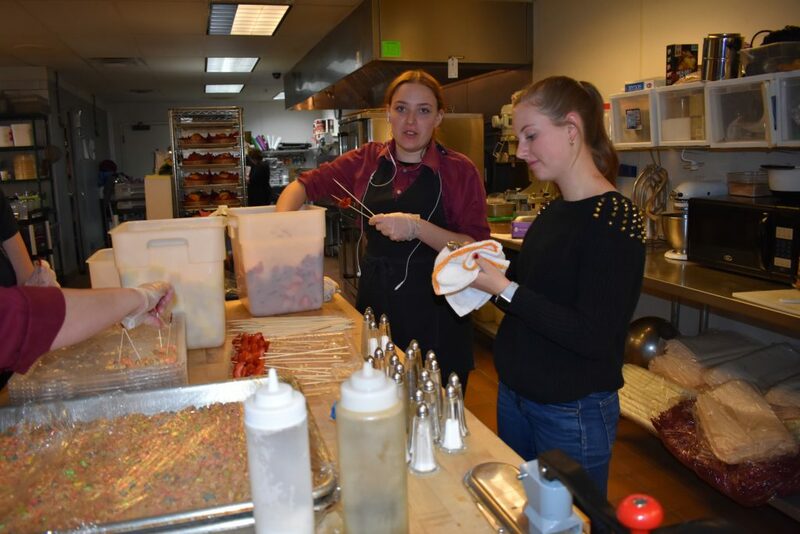 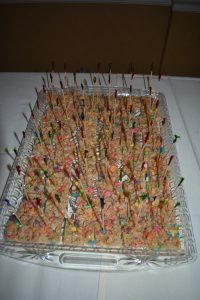 Everyone had a great time frosting and getting creative with the sprinkles and of course eating them! 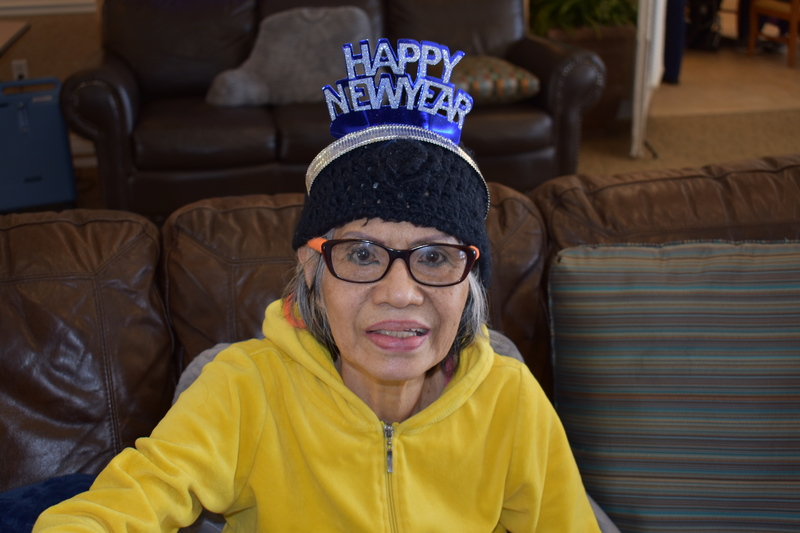 Can you believe it’s 2019 already? 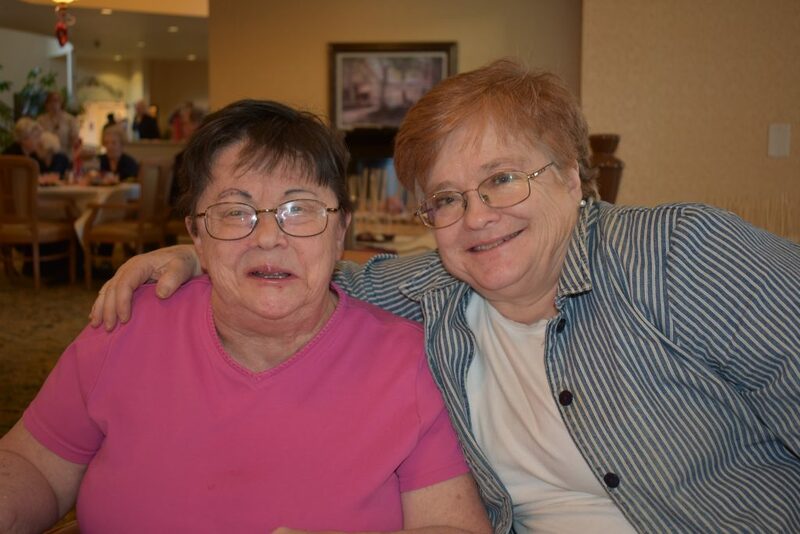 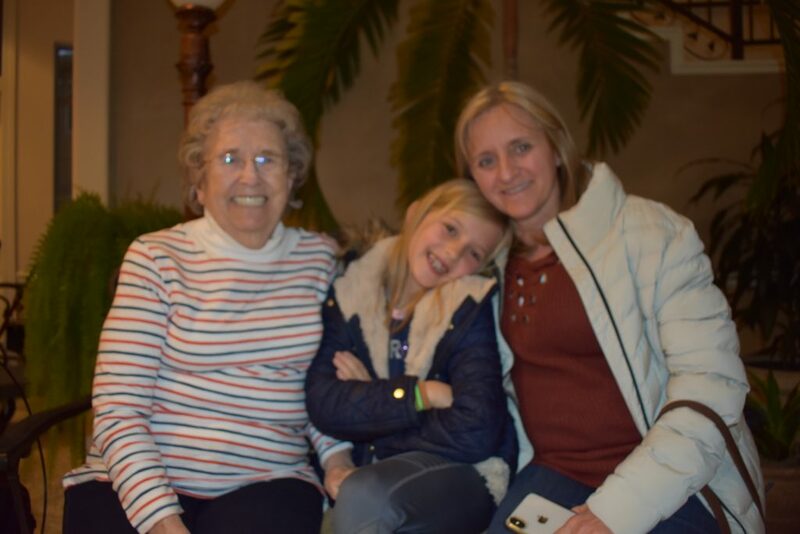 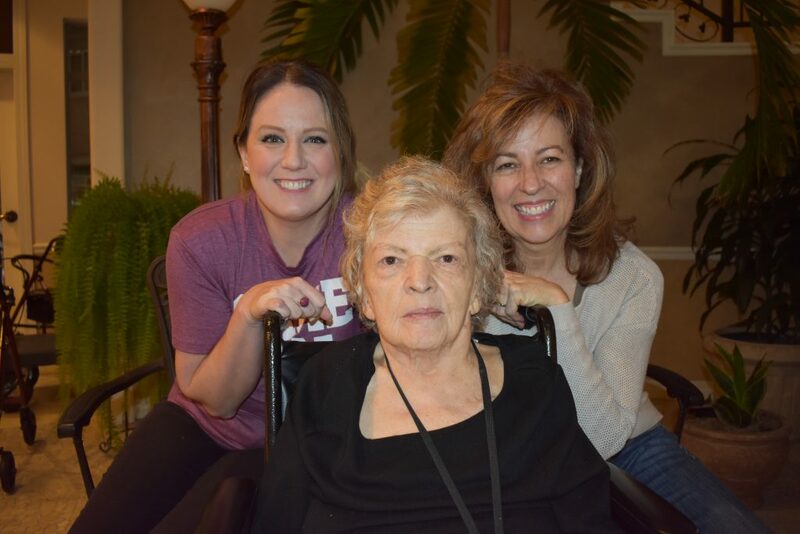 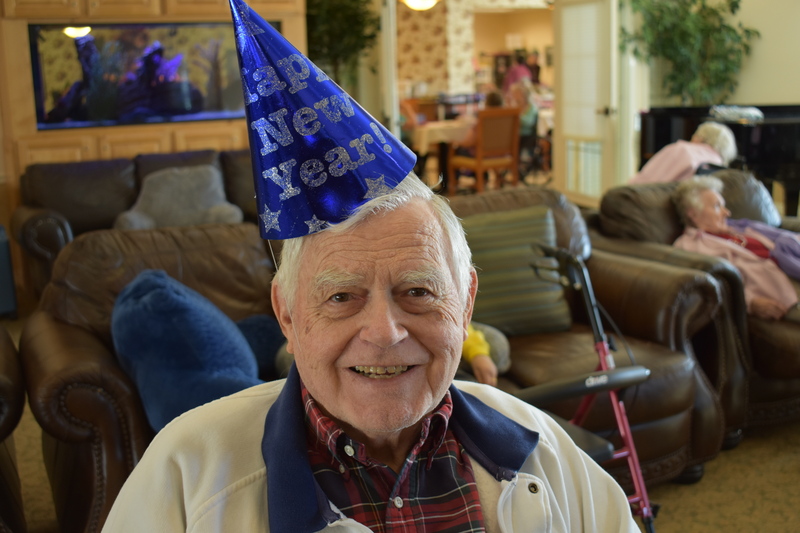 We had so much fun in 2018 here at Carrington Court, and we’re looking forward to another great year with our resdents and families. 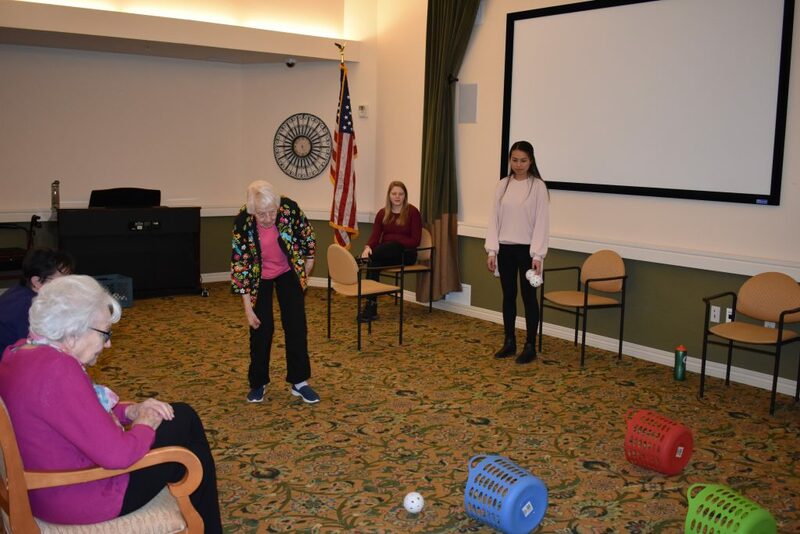 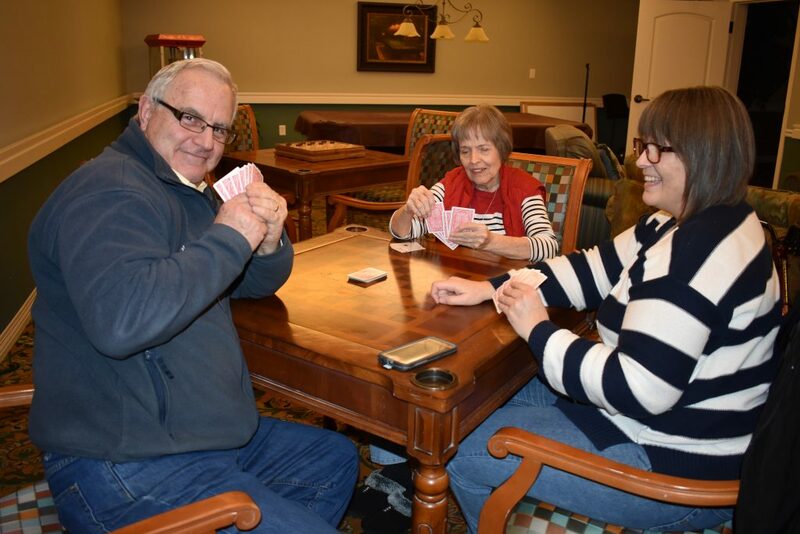 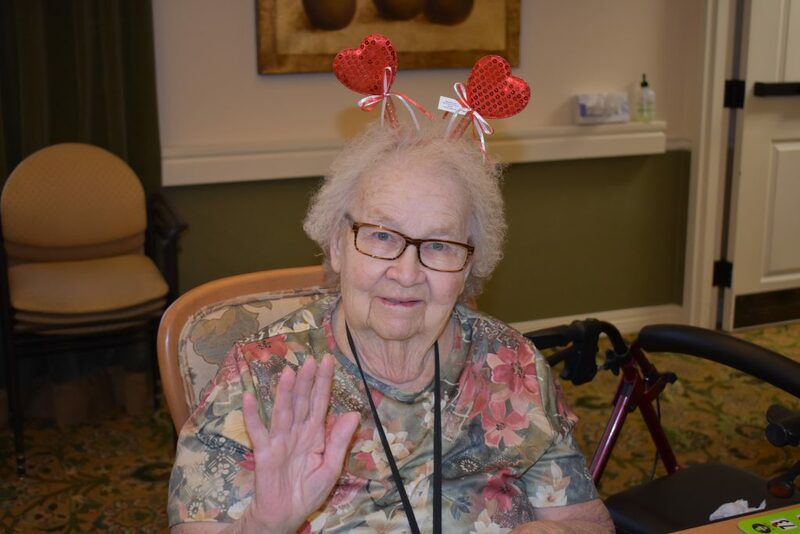 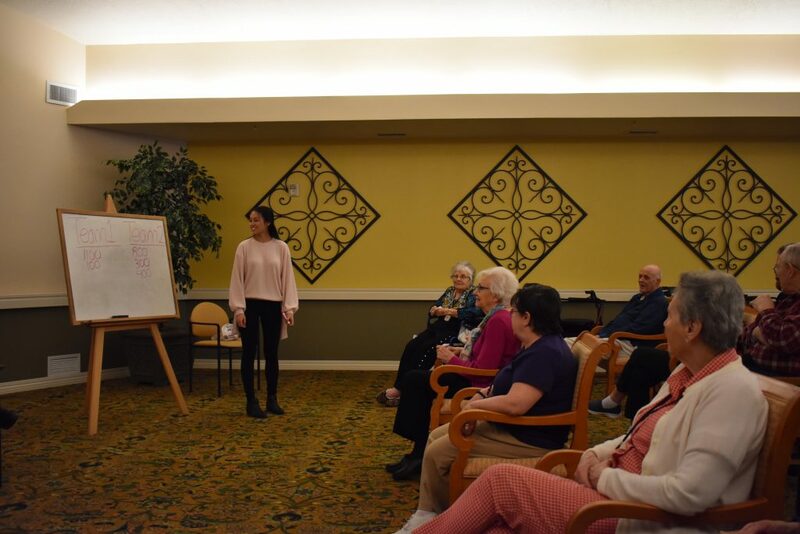 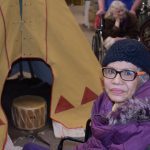 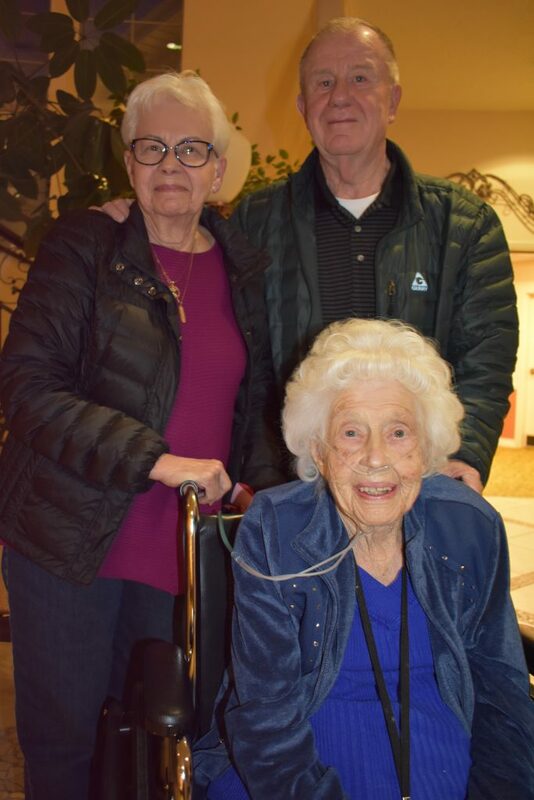 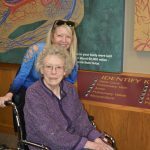 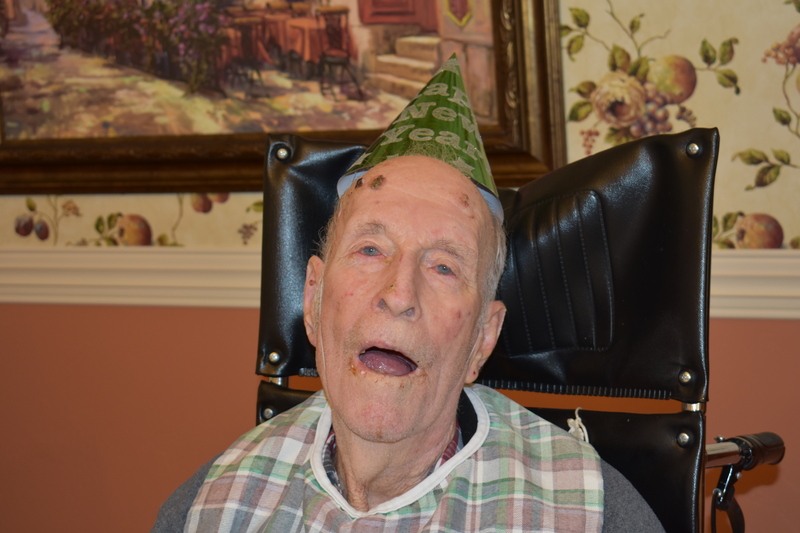 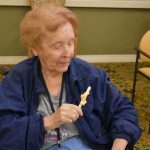 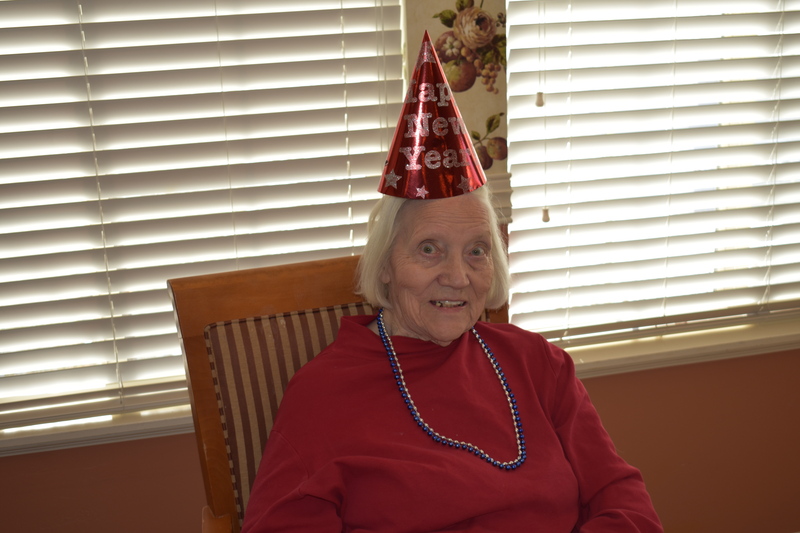 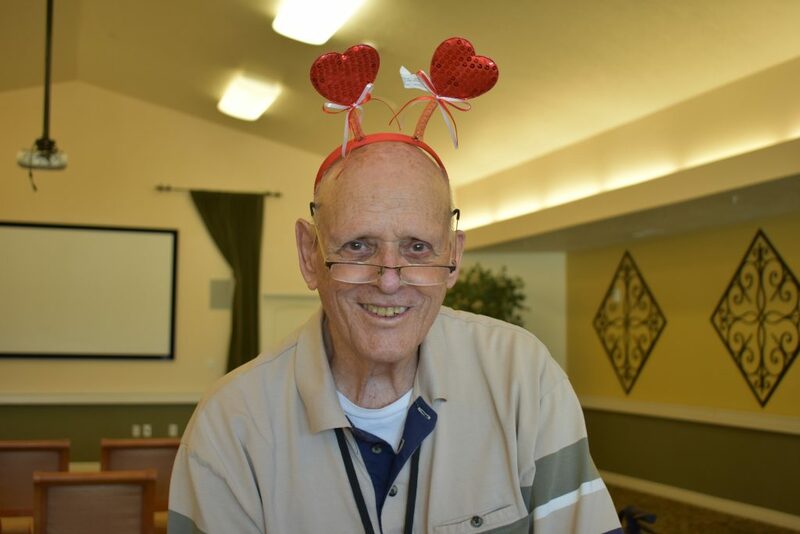 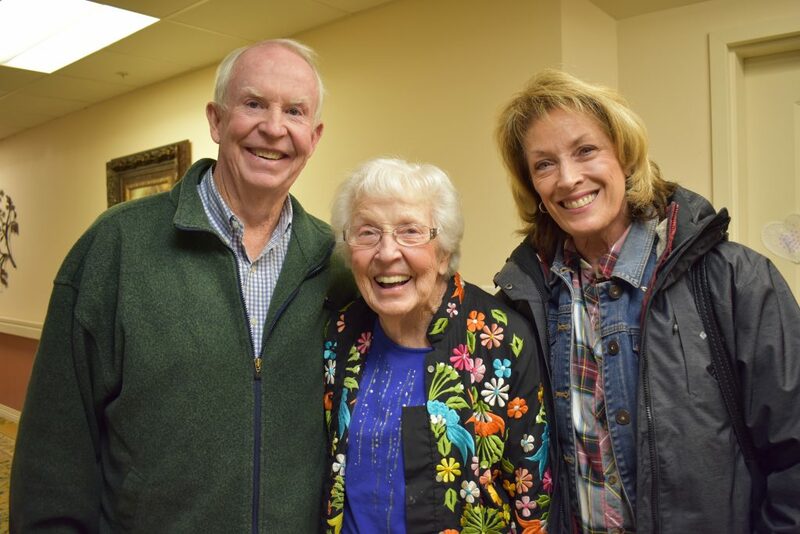 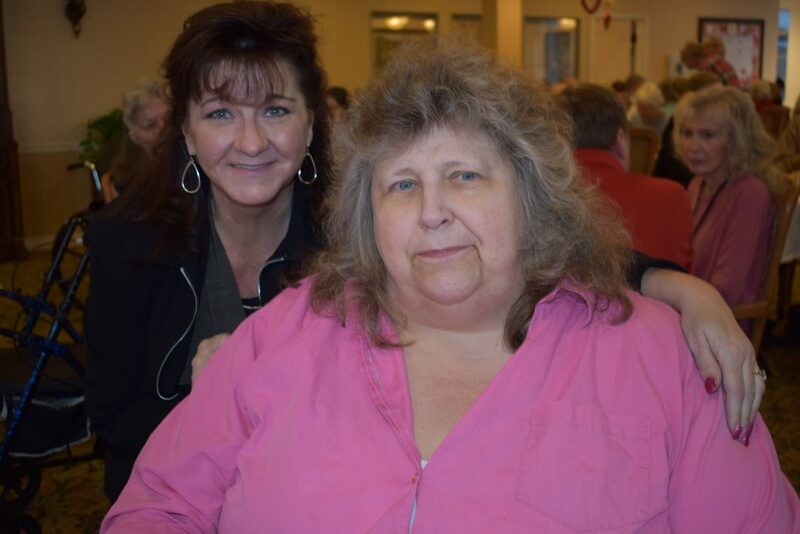 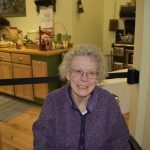 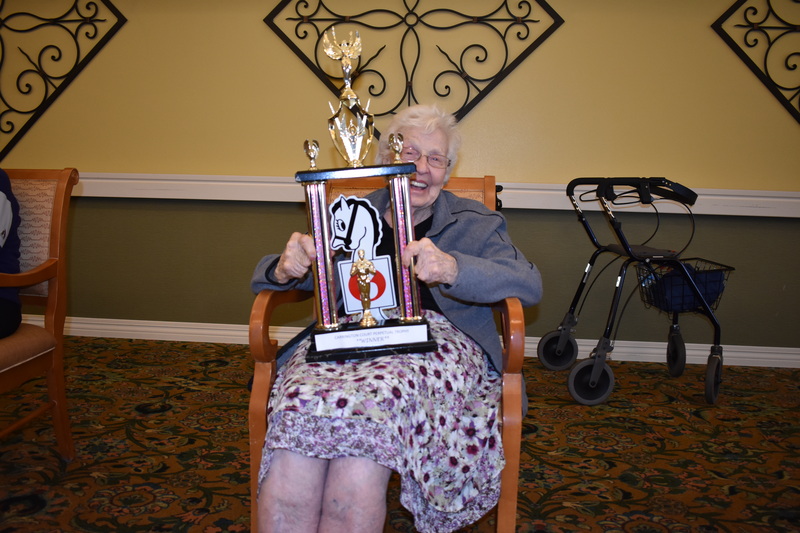 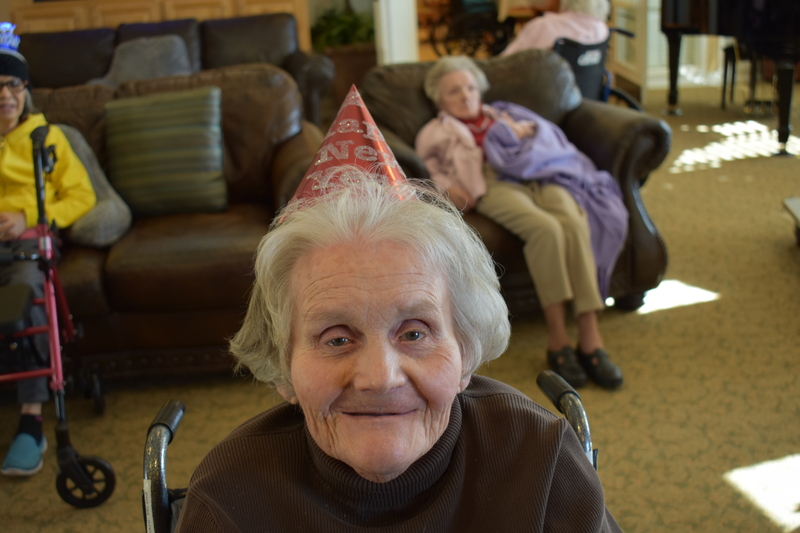 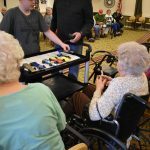 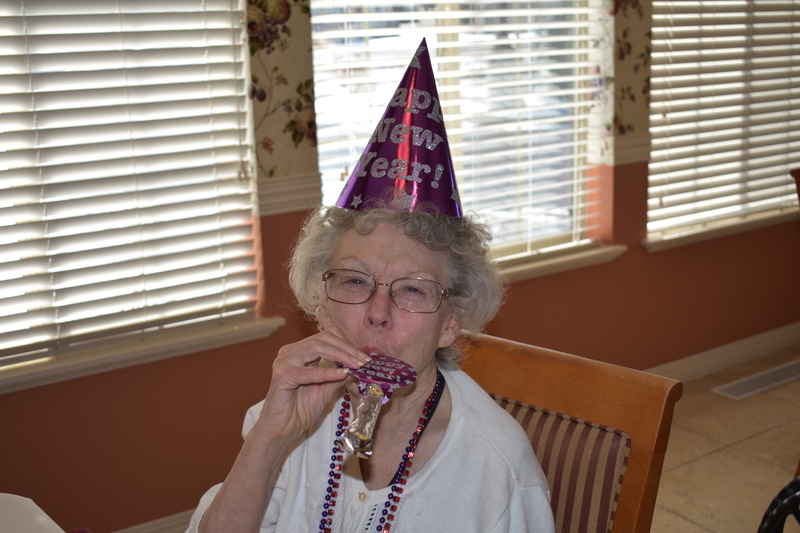 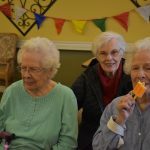 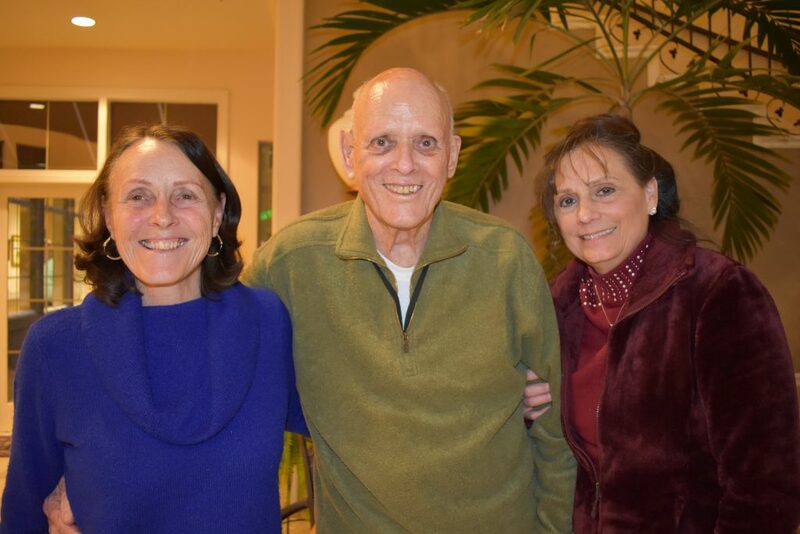 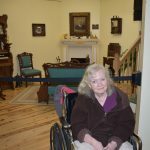 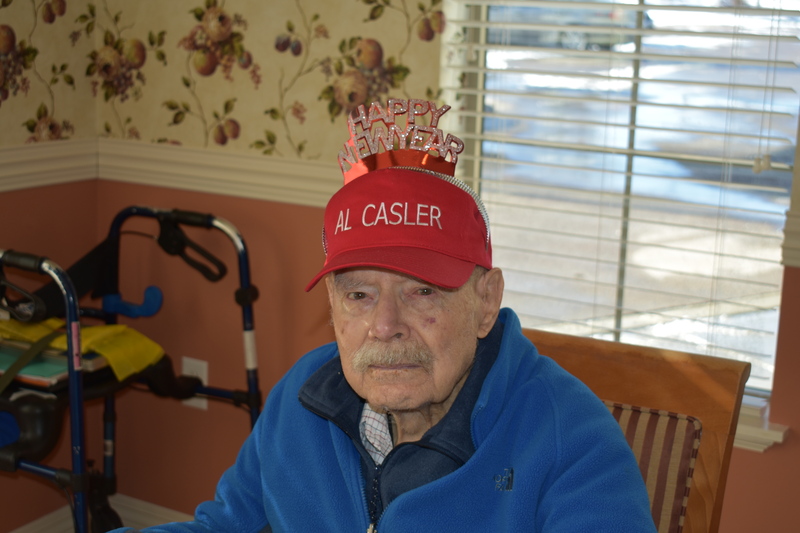 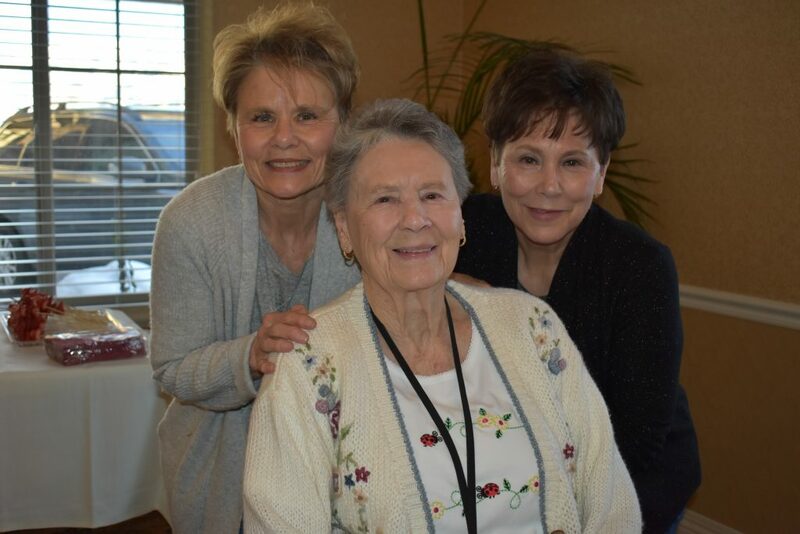 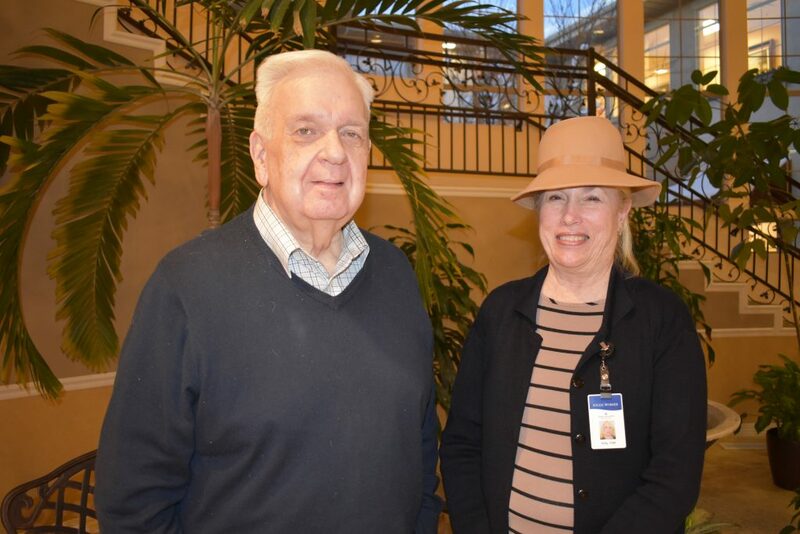 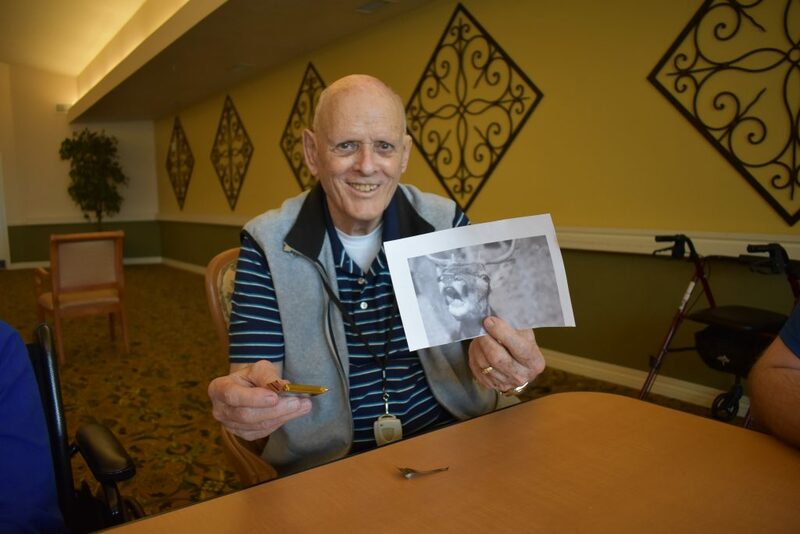 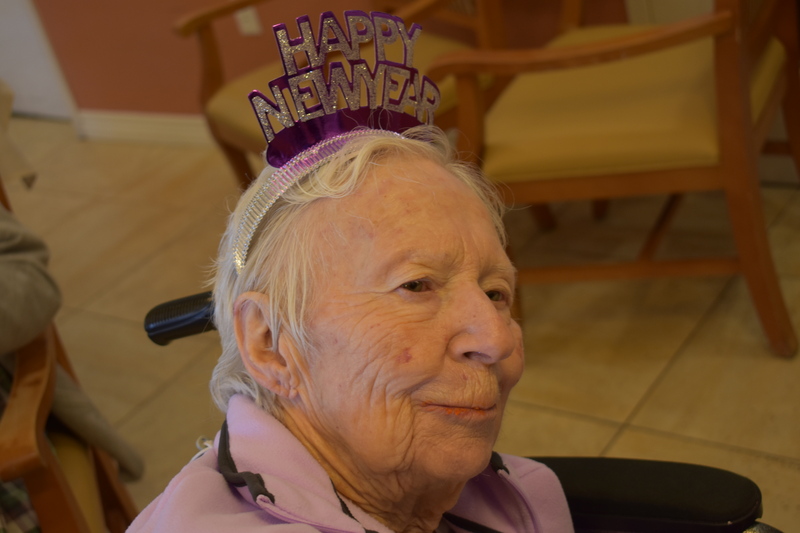 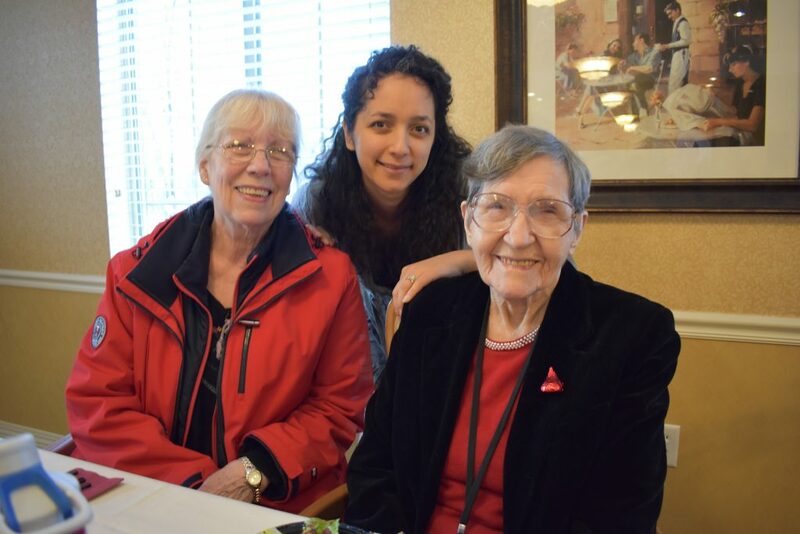 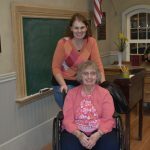 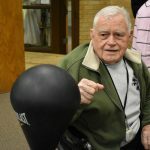 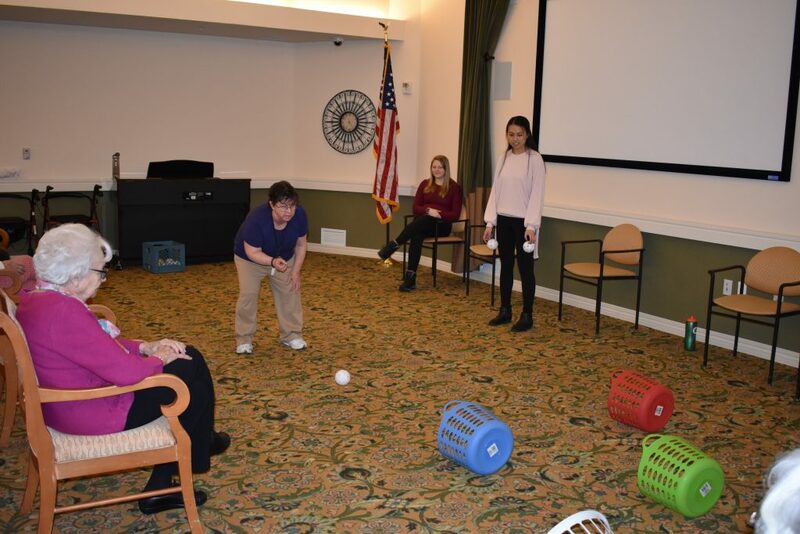 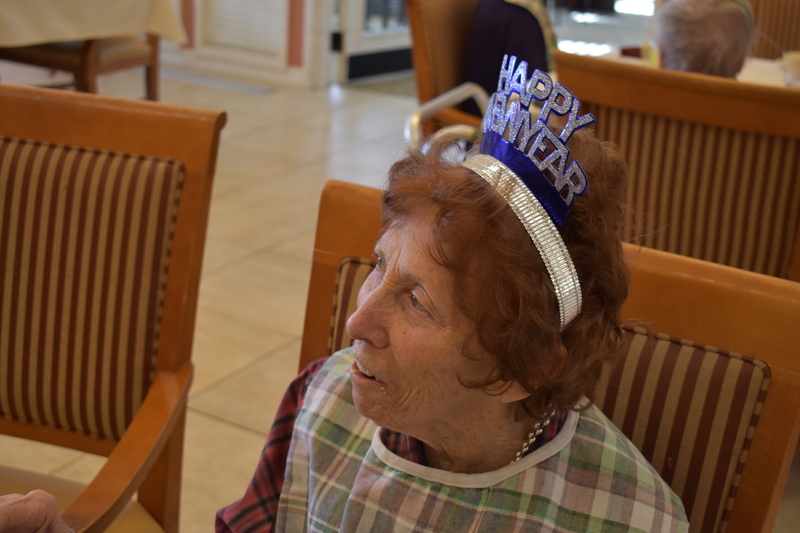 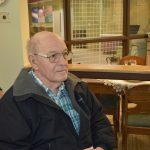 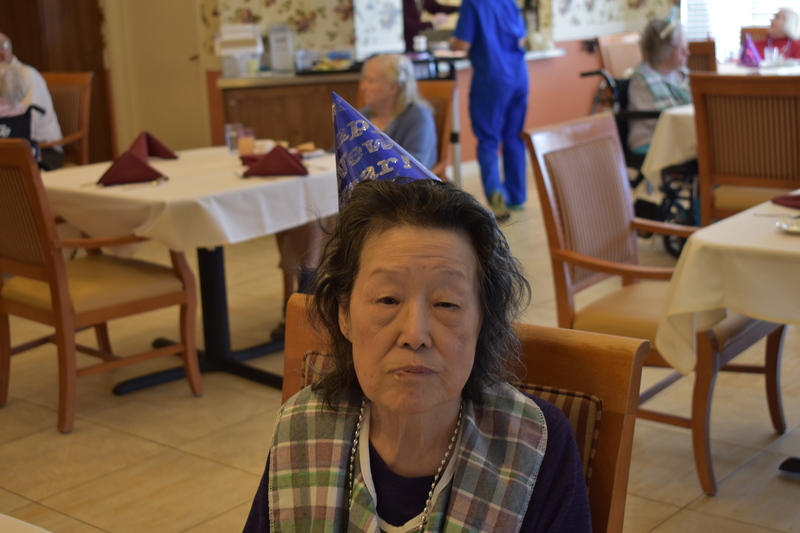 Here in Memory Care, we celebrated in the new year in style. 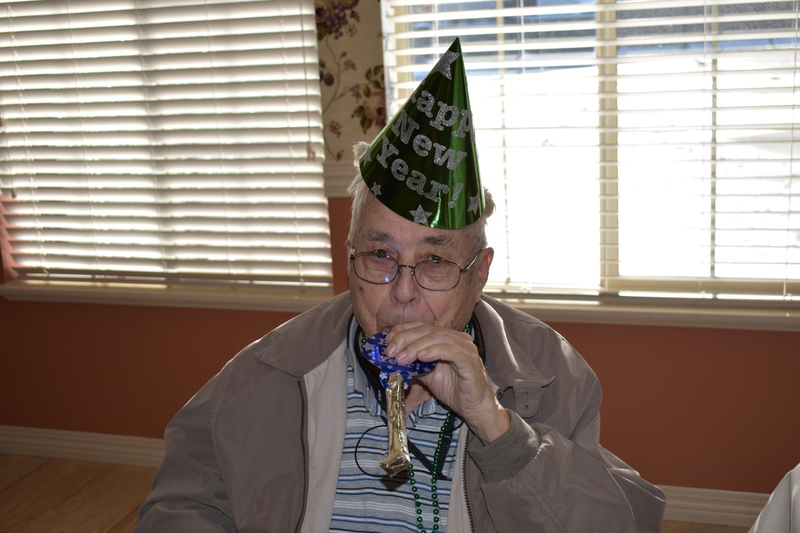 Everyone got hats and party horns and we counted down to 12:00 (PM that is.) 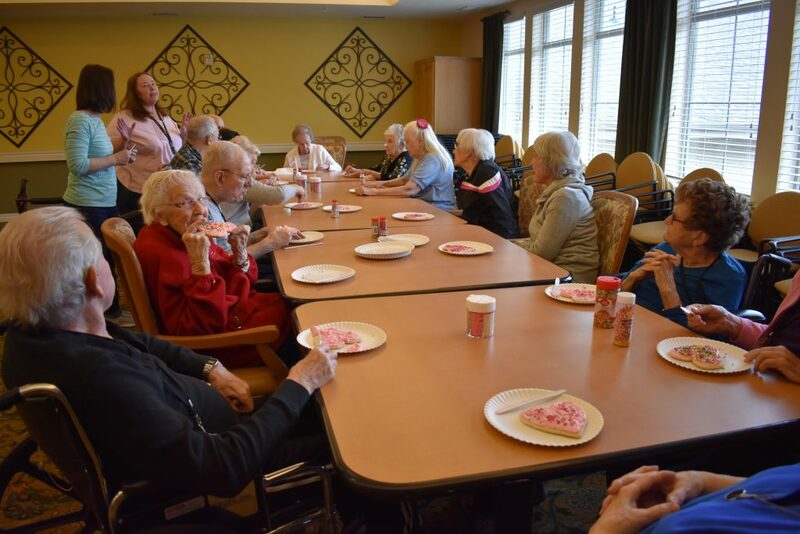 Everyone got to celebrate the beggining of a new, and exciting year together as a community. 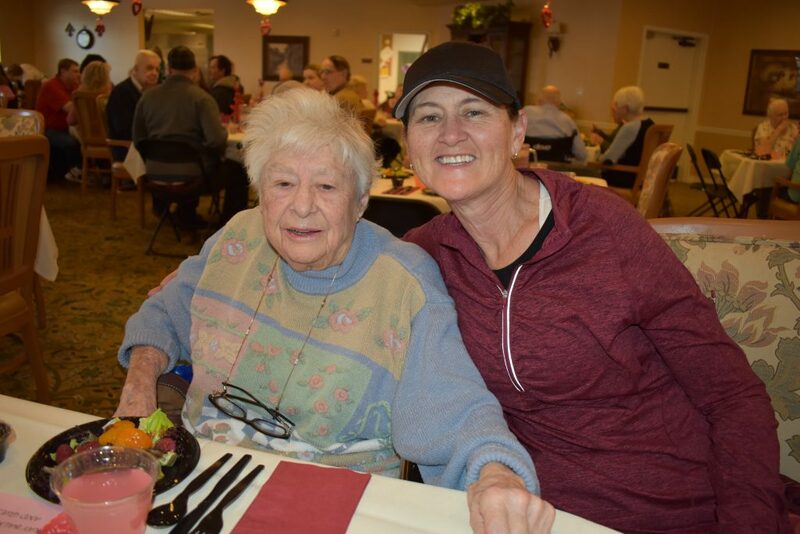 We had the opportunity to host family and friends here at Carrington for our annual Christmas party. 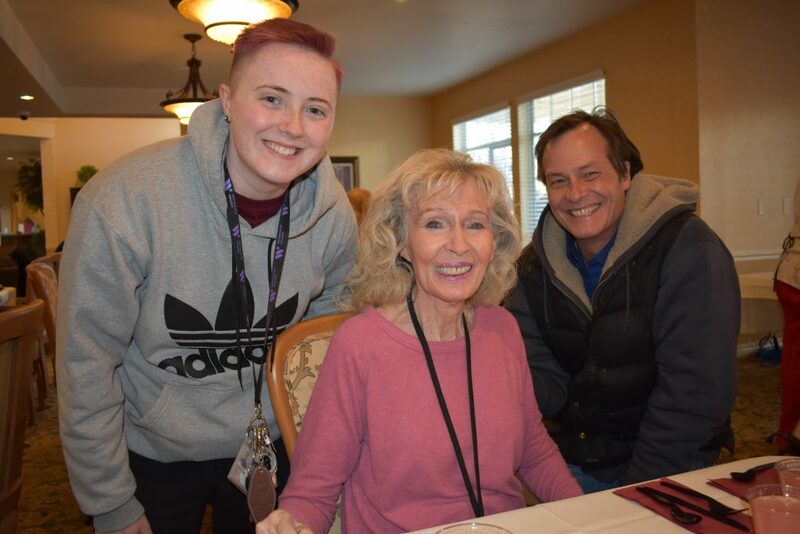 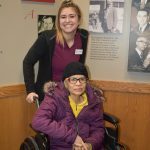 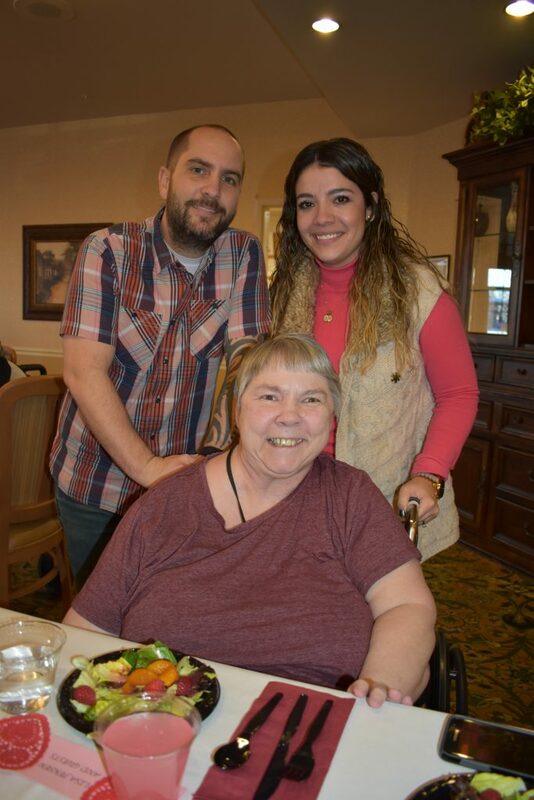 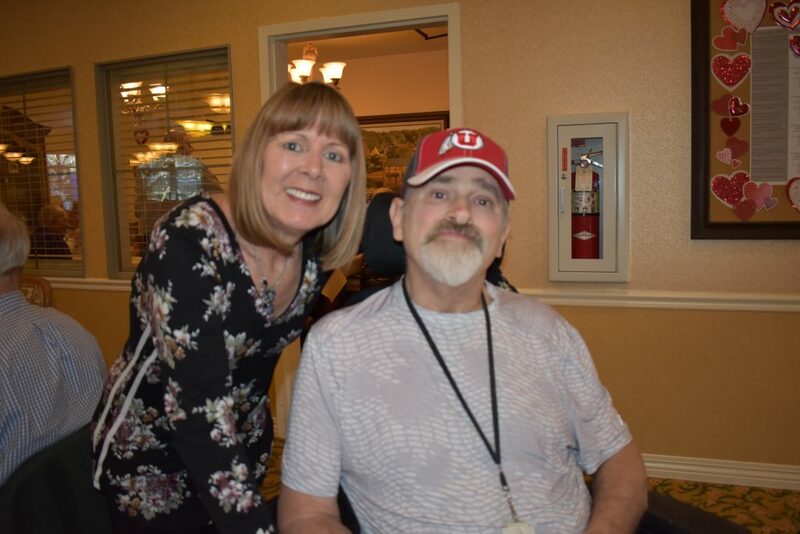 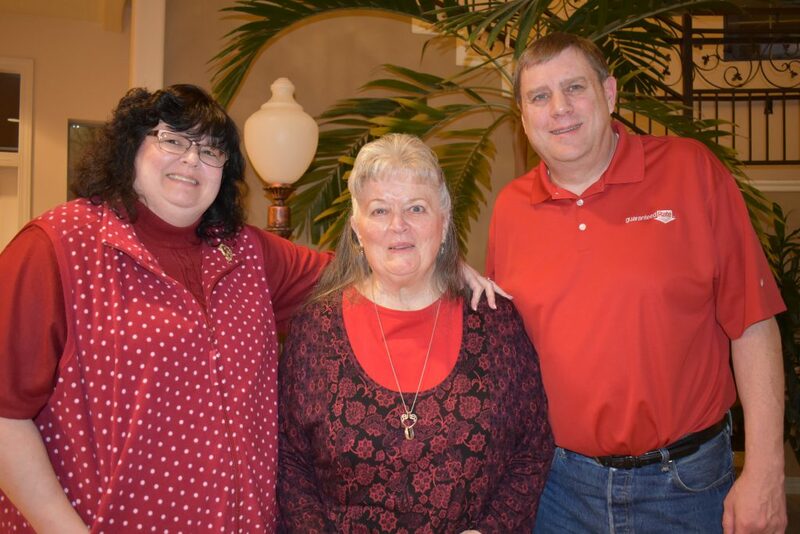 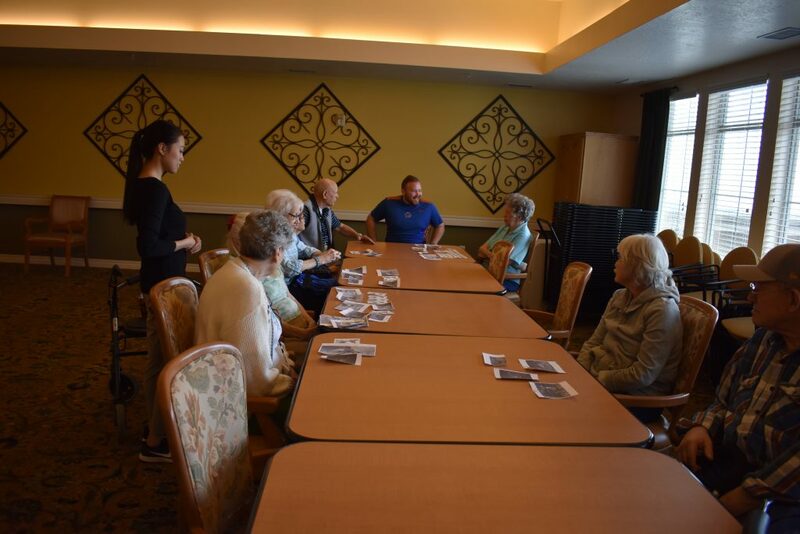 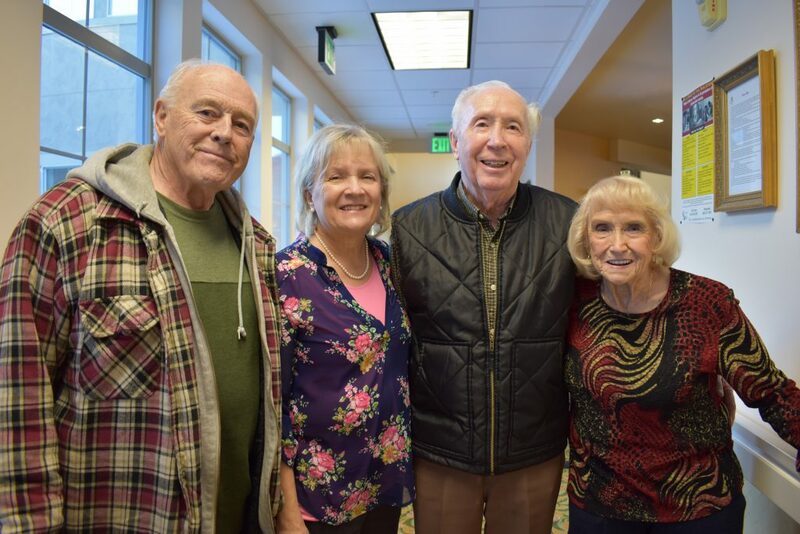 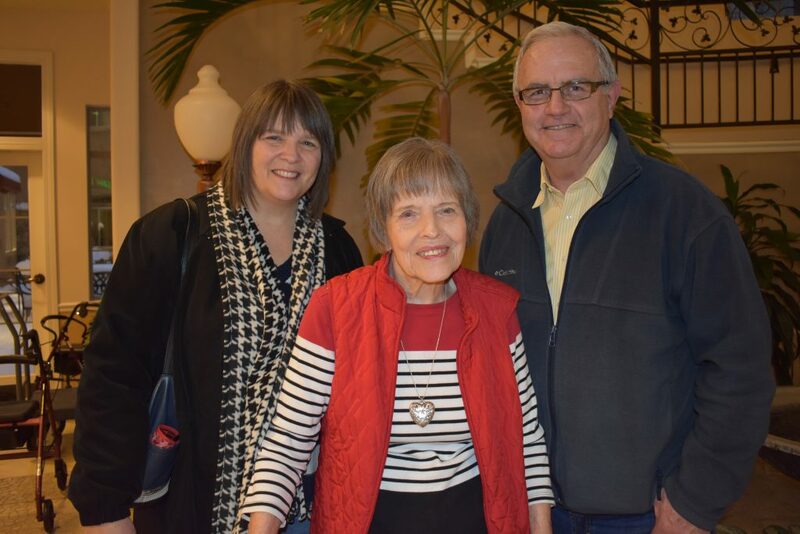 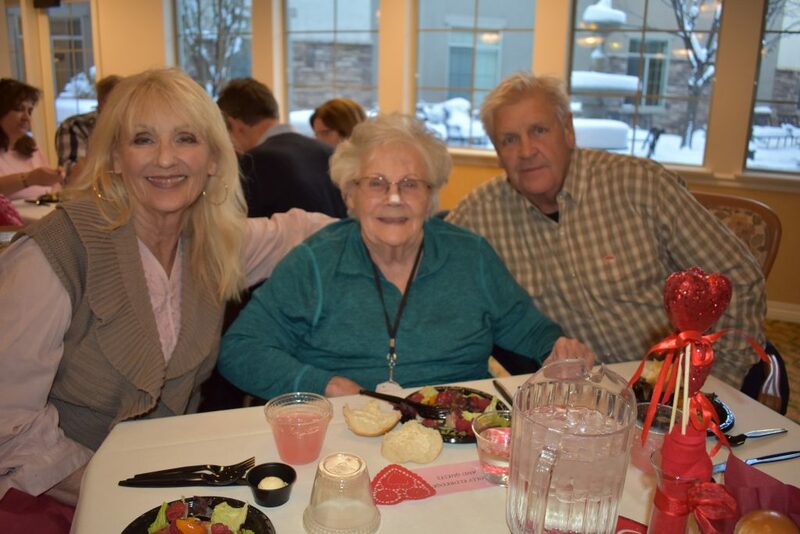 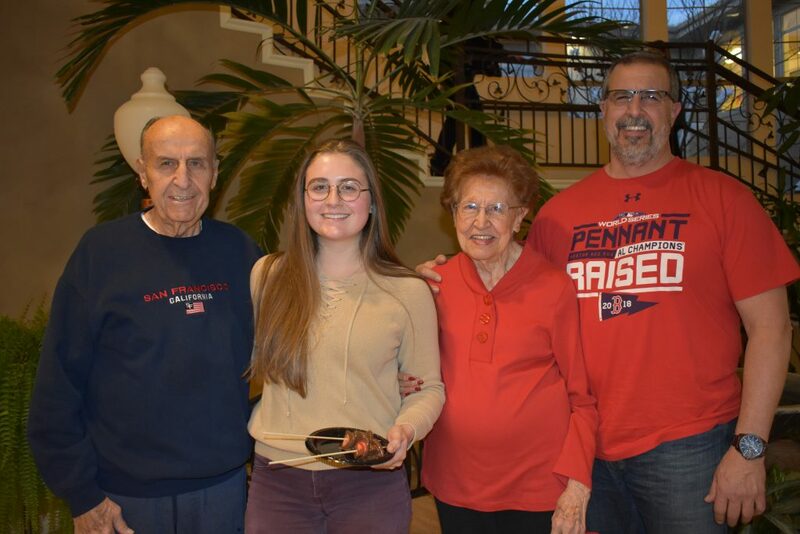 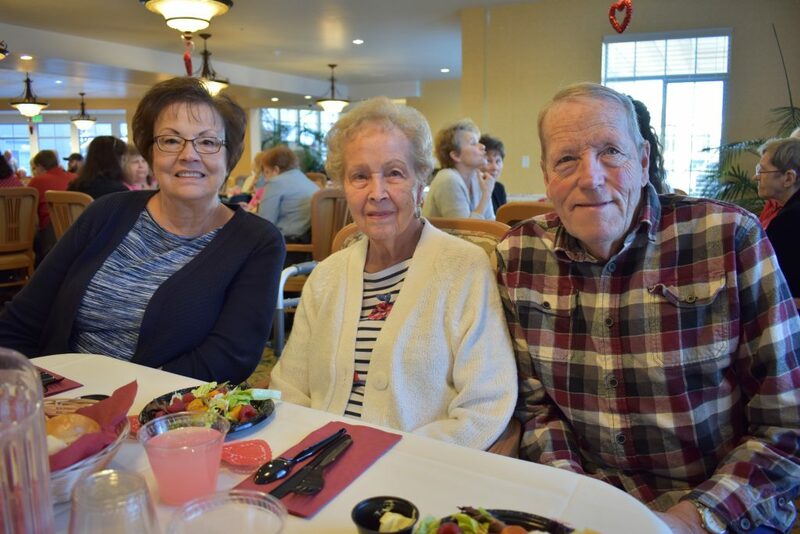 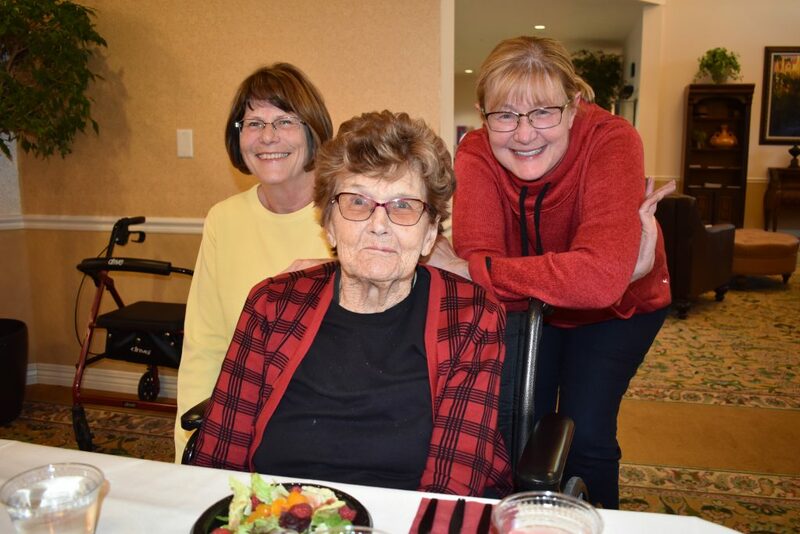 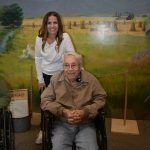 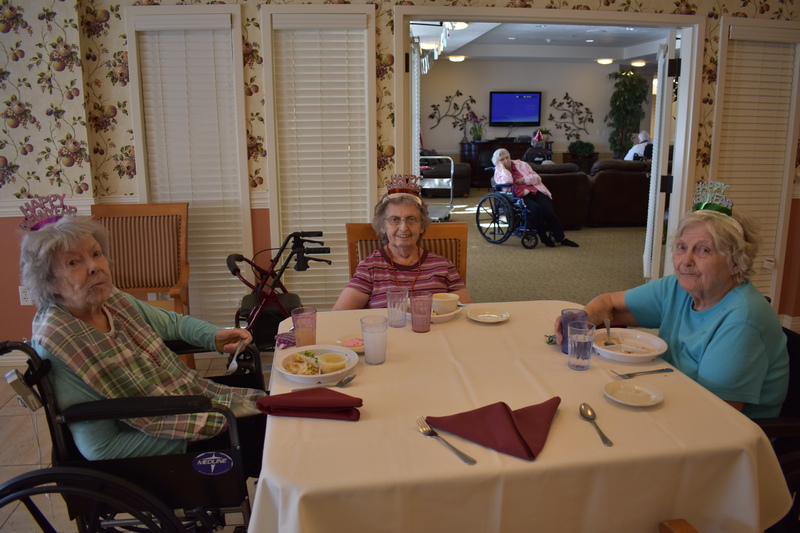 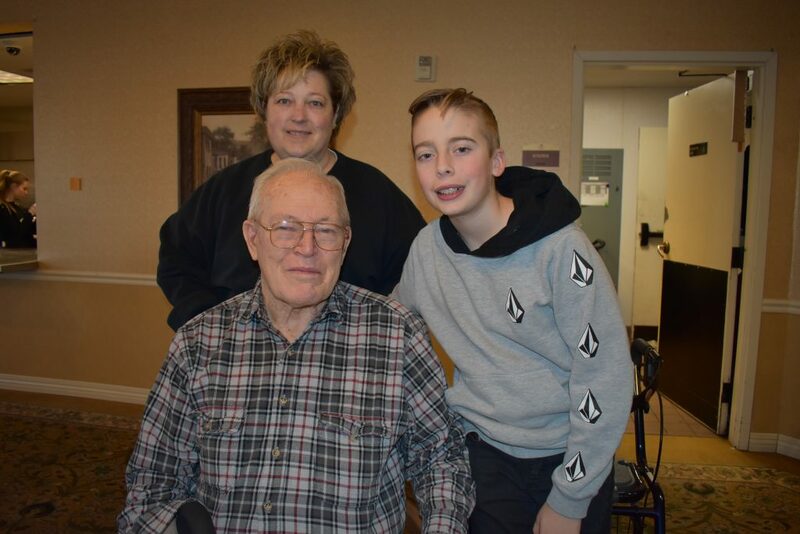 So many people showed up to our Memory Care to spend some time with loved ones, listen to holiday music preformed live, and enjoy a delicious Christmas dinner! 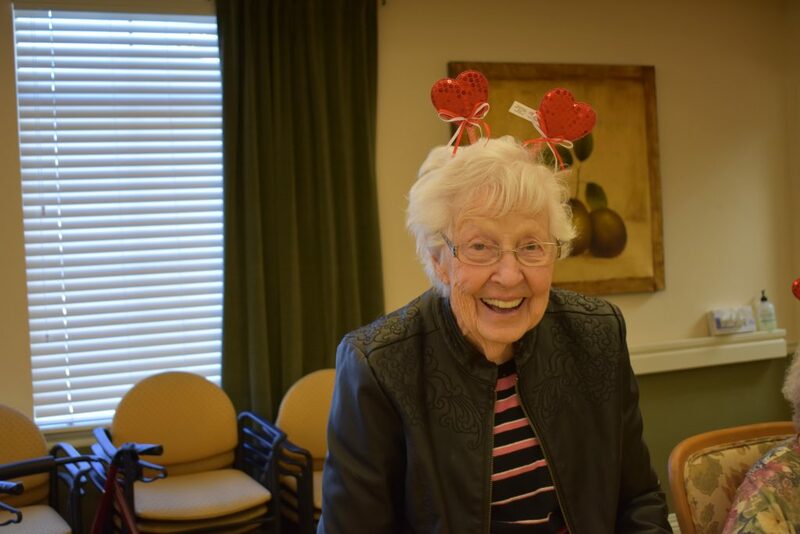 We even had a very special guest come along to take pictures with our residents and ask them what they wanted for Christmas. 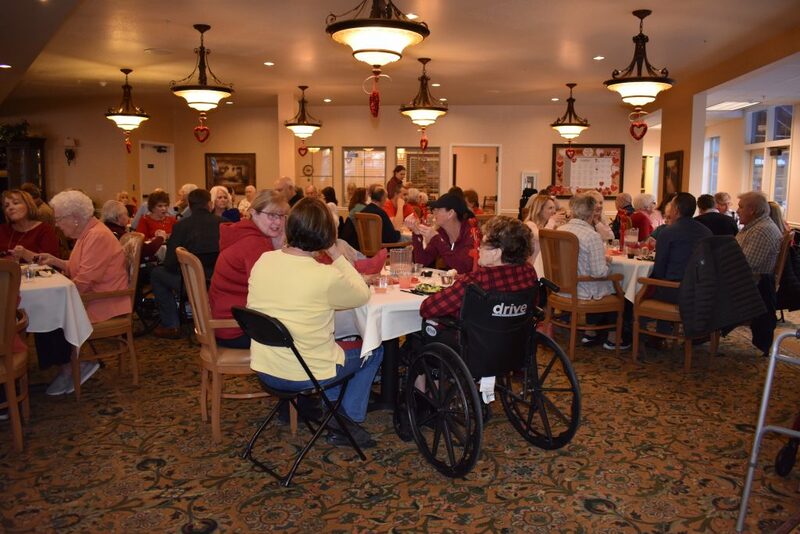 Our residents had so much fun, and the night was filled with carols and sleigh bells and Christmas cheer all around. 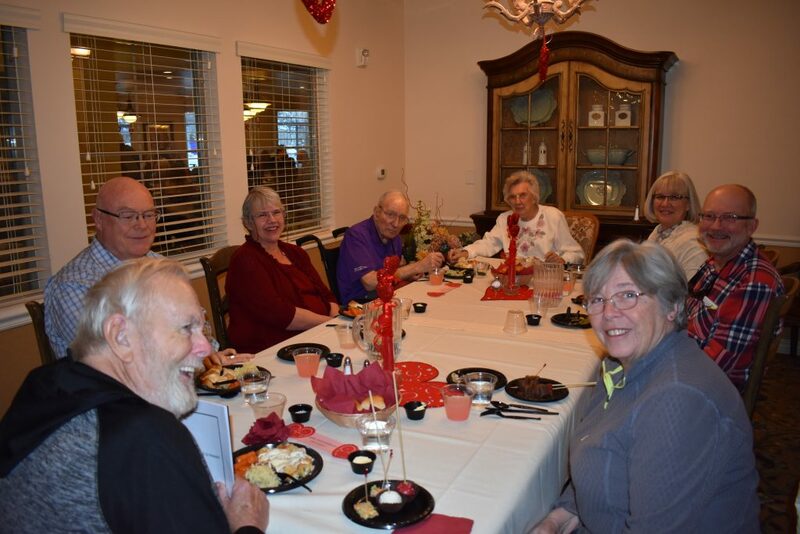 We had so much fun hosting this special get together. 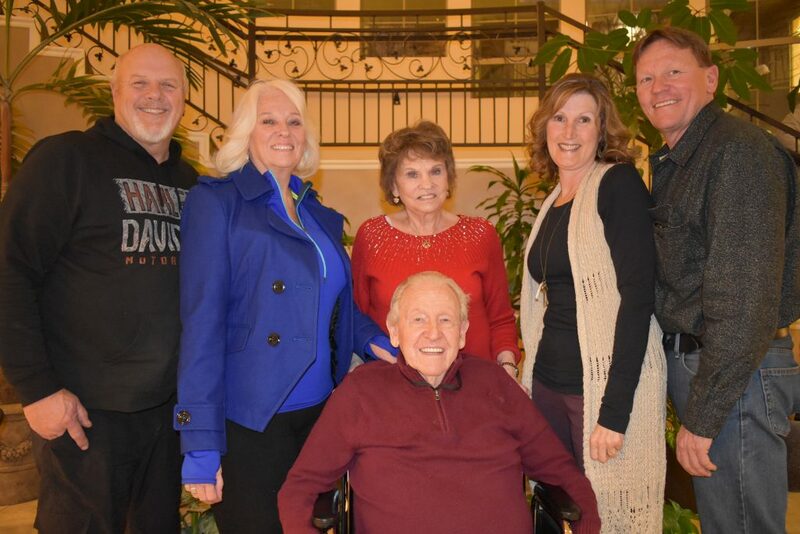 Merry Christmas and Happy Holidays from all of us at Carrington Court! 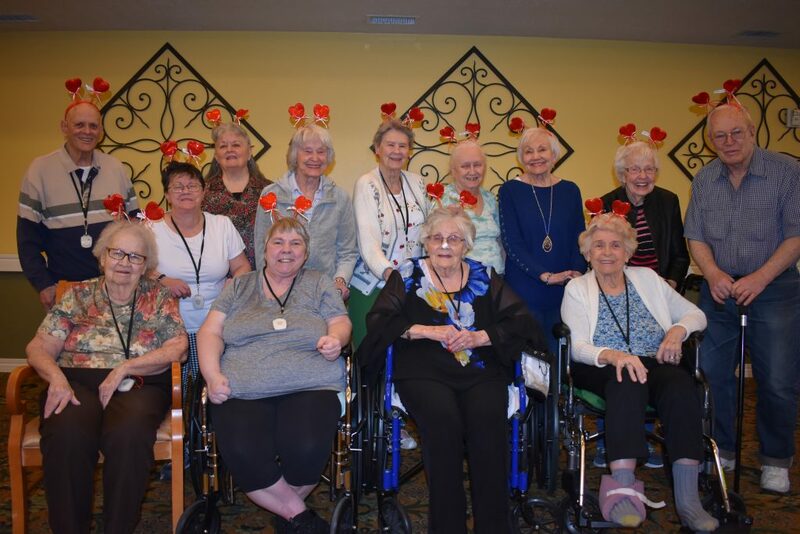 We got ready for Christmas here at Carrington by making wreaths for everyone’s doors! 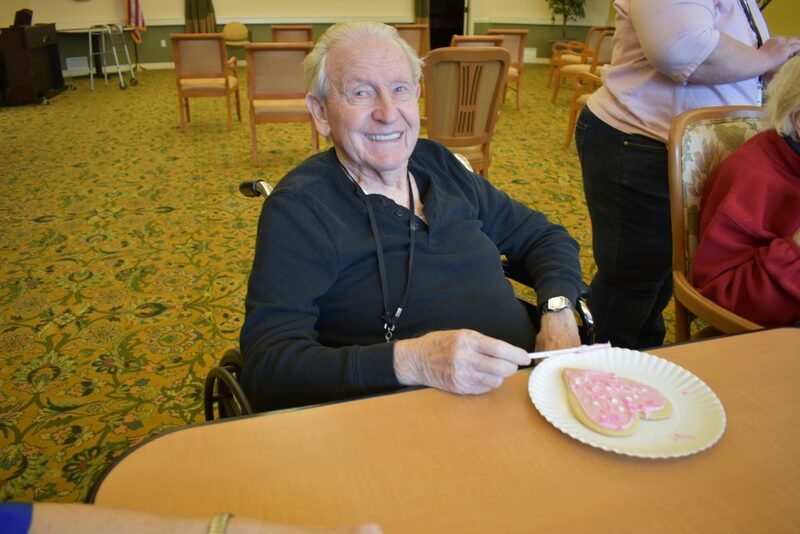 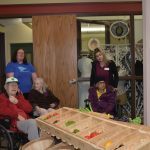 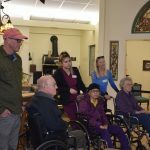 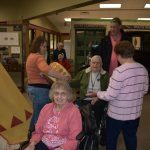 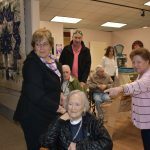 Everyone had a lot of fun getting creative and working together to make sure everyone in Memory Care got to have a wreath. 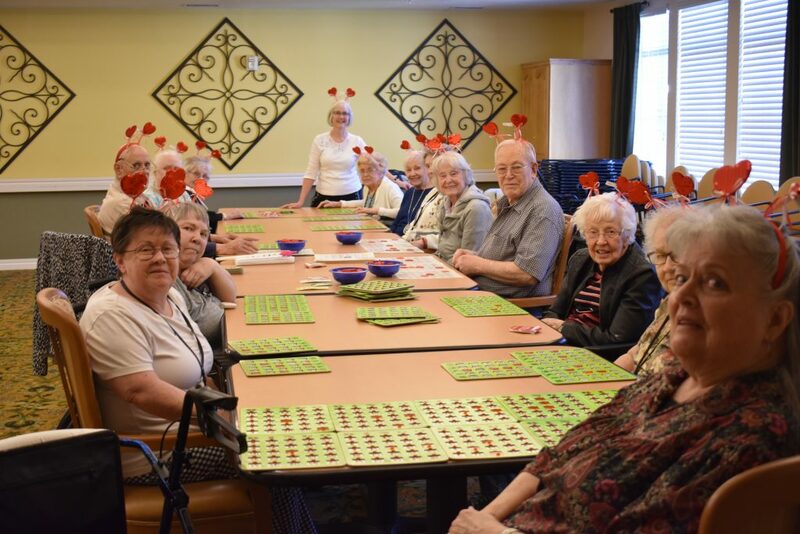 Now, when you walk down the hall, every door has a bit of Christmas spirit. 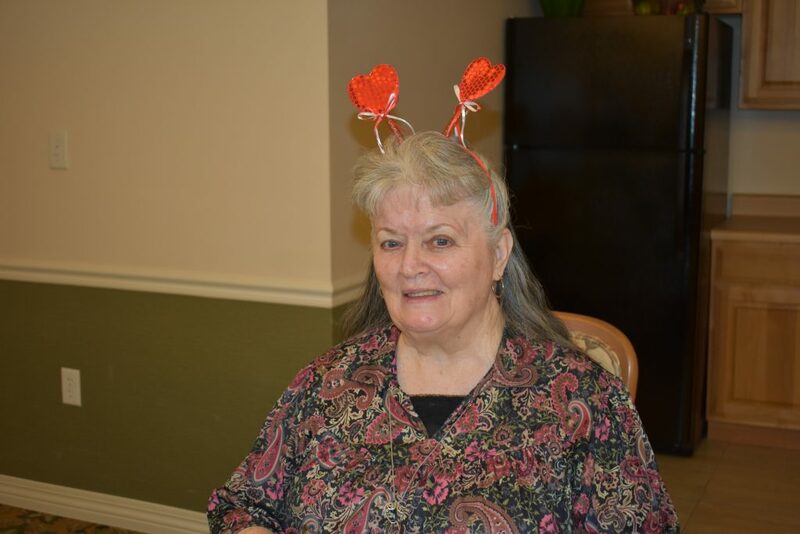 Diane was having so much fun!